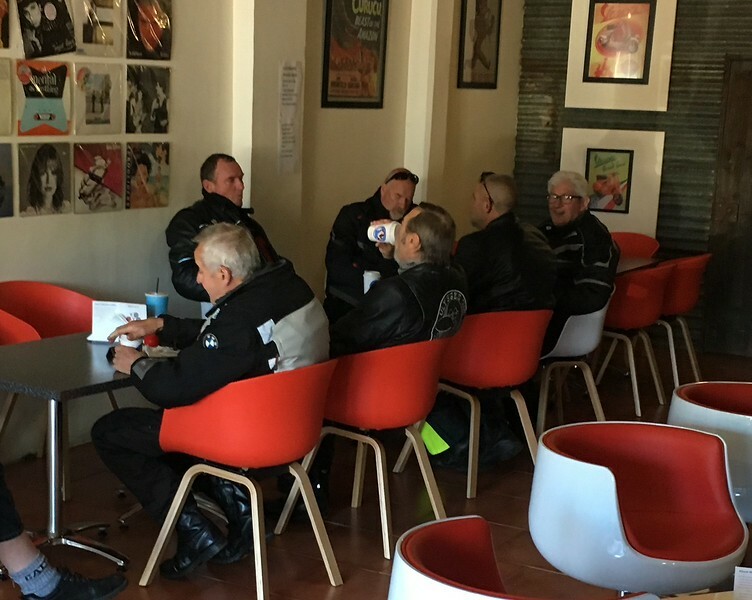 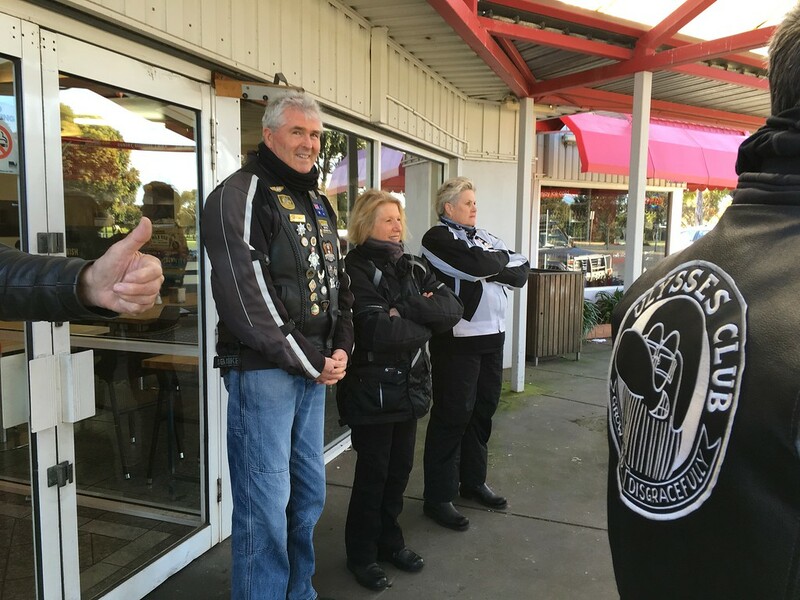 A good turnout of members gathered at the Corio Roadhouse for the annual ride to the Ulysses Memorial service at Mt Macedon. 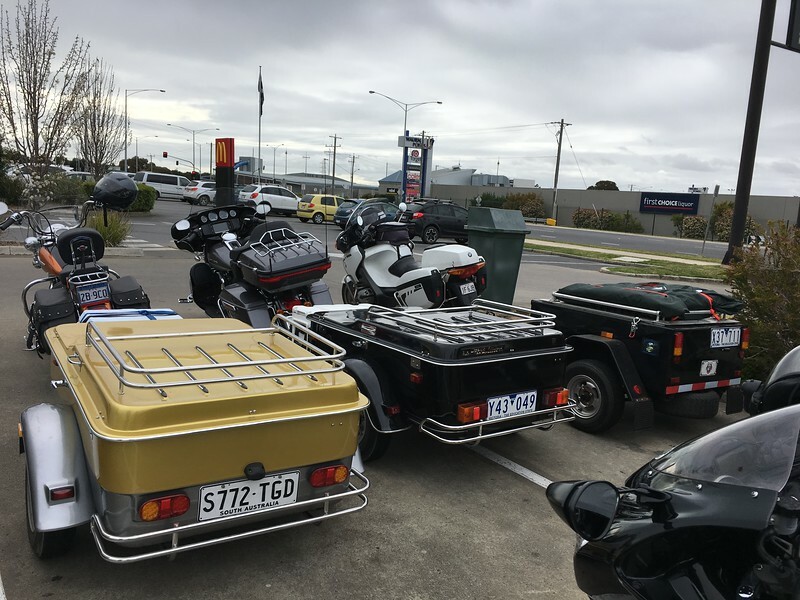 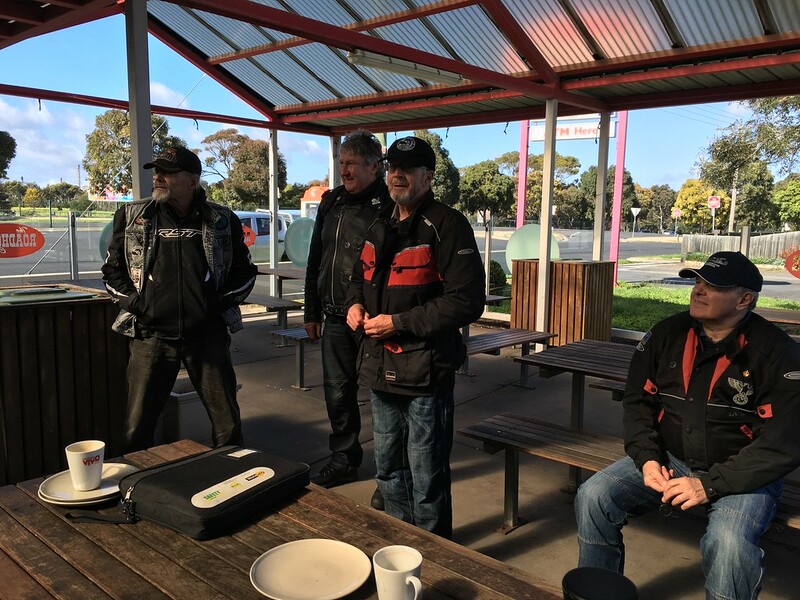 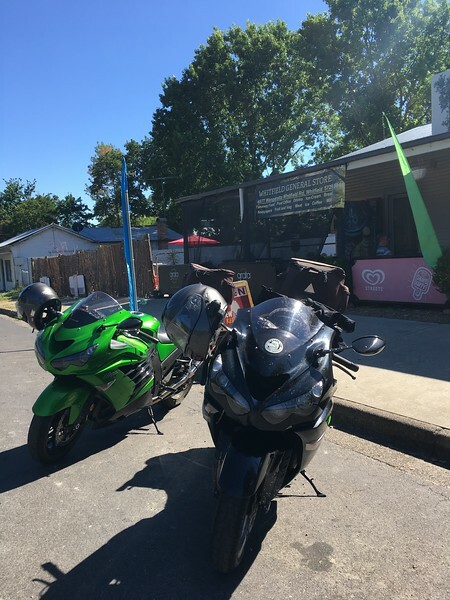 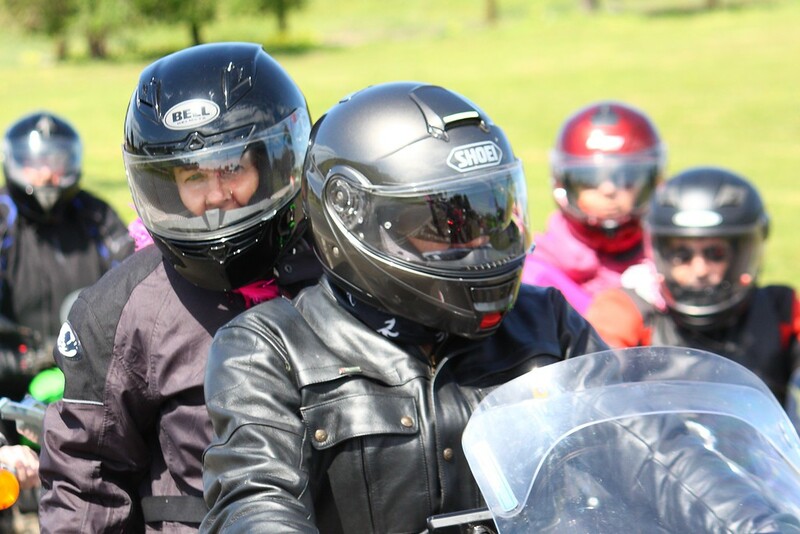 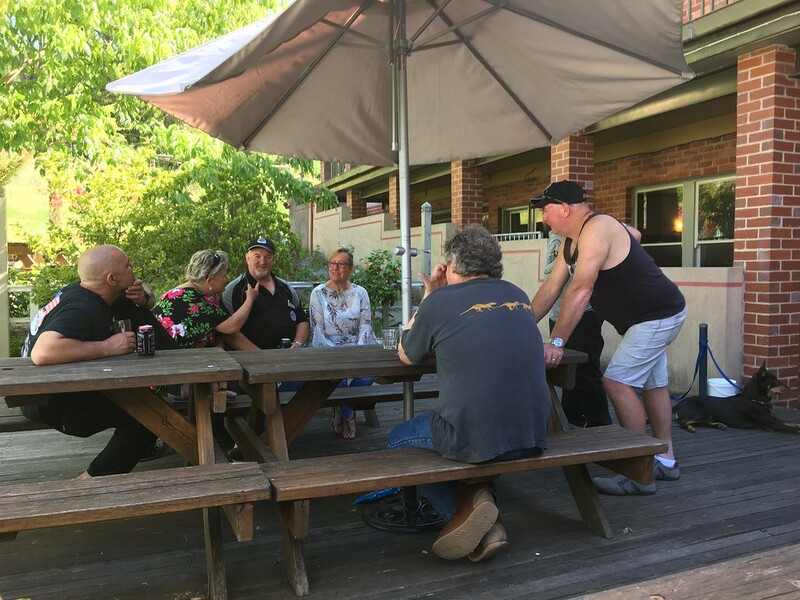 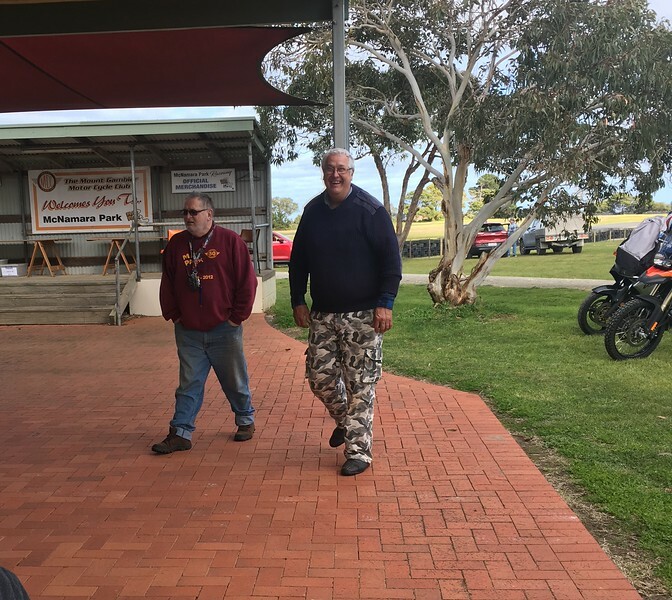 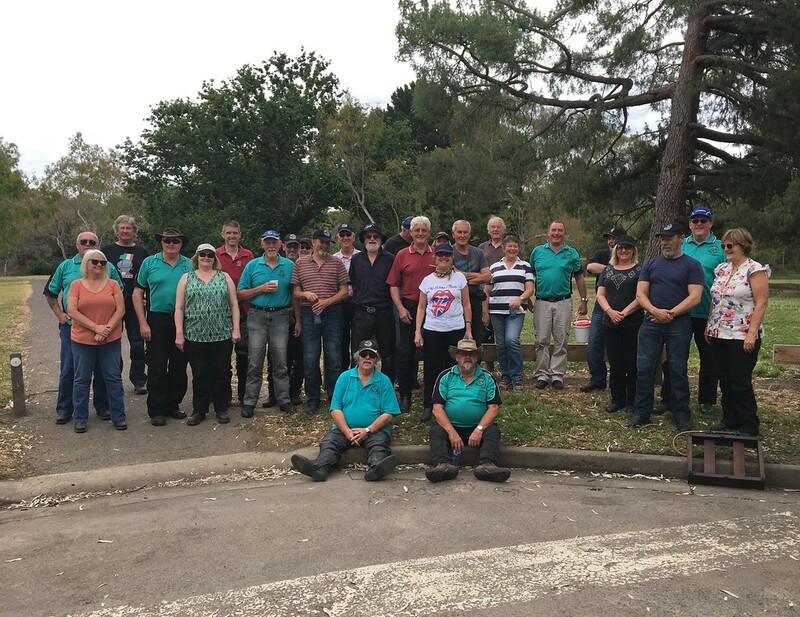 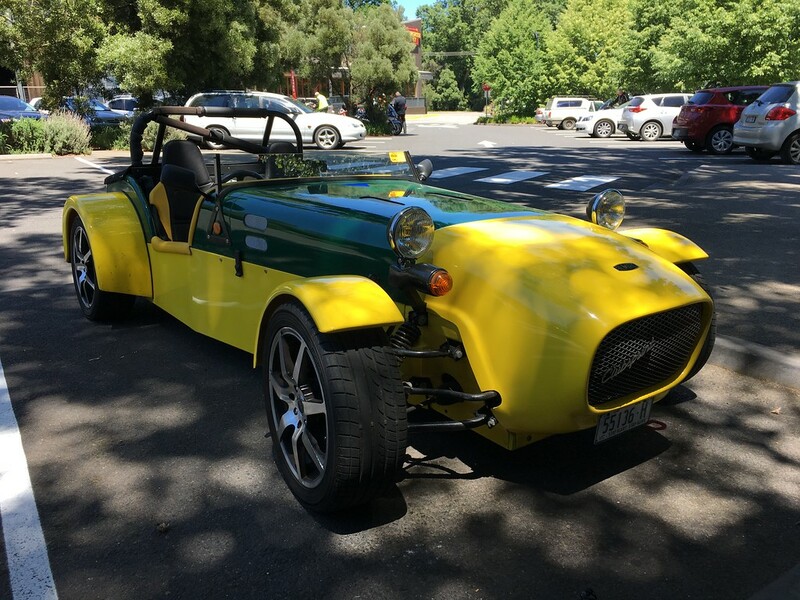 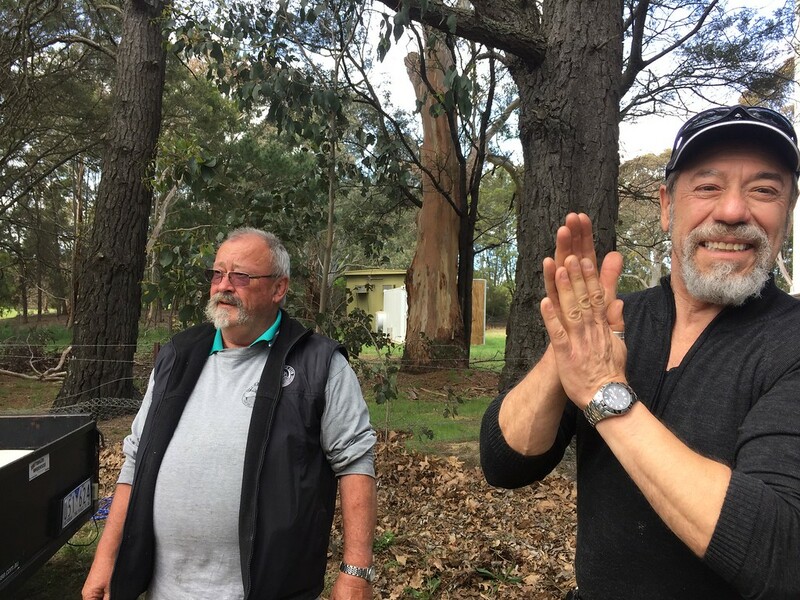 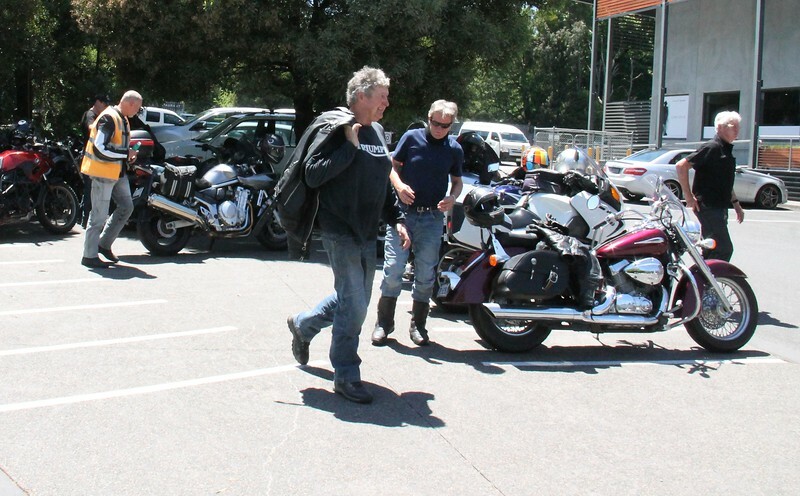 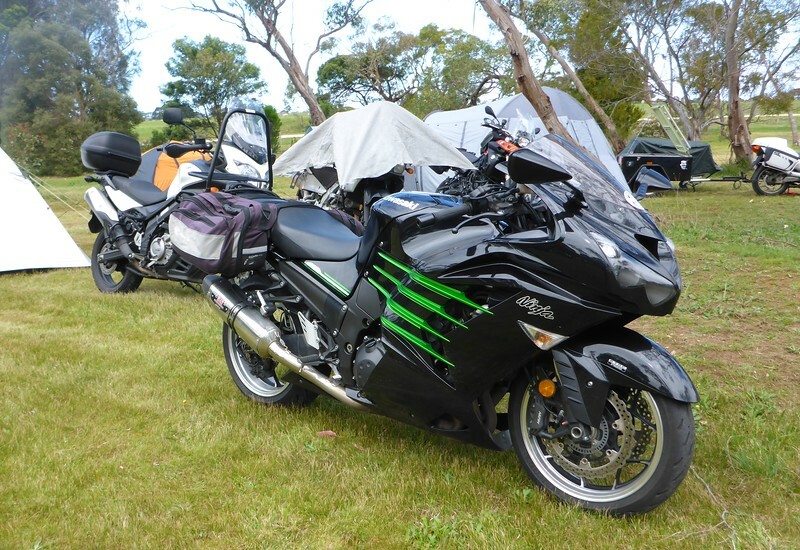 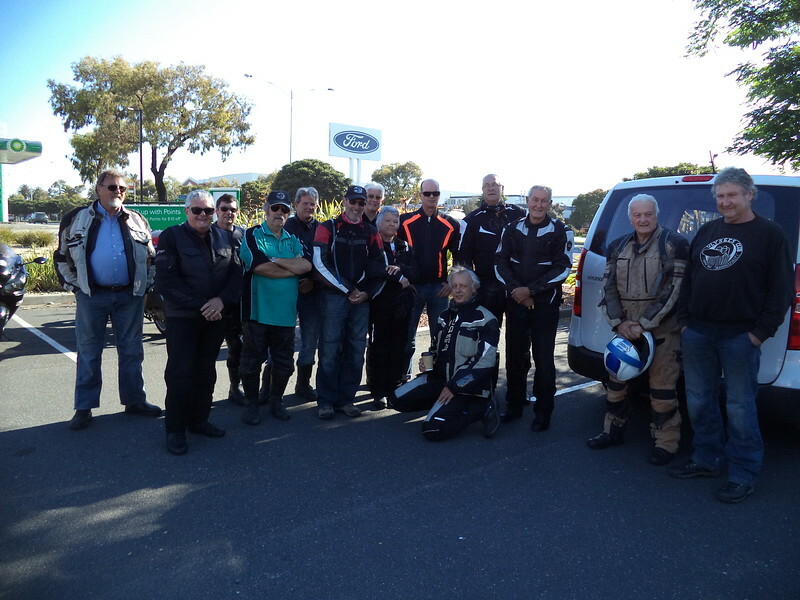 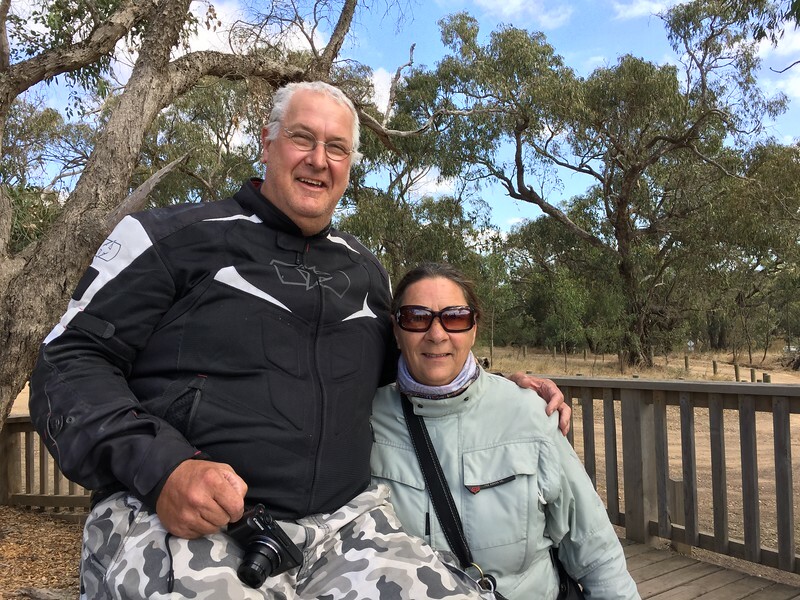 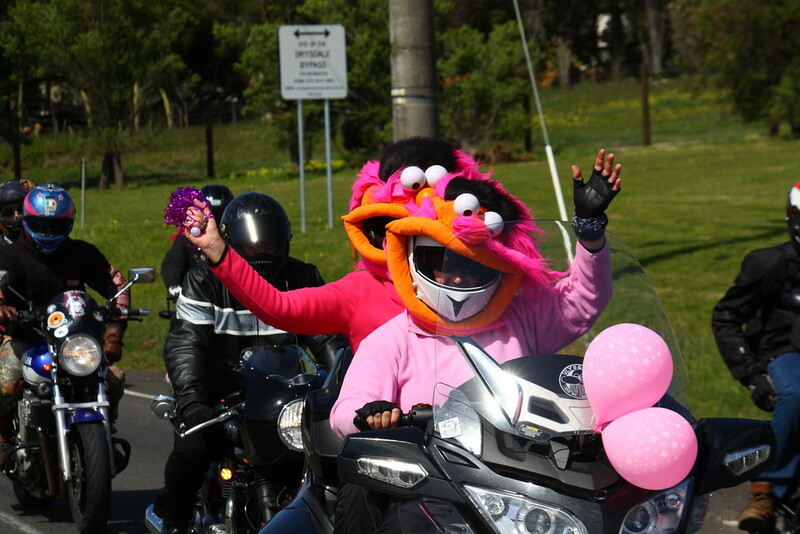 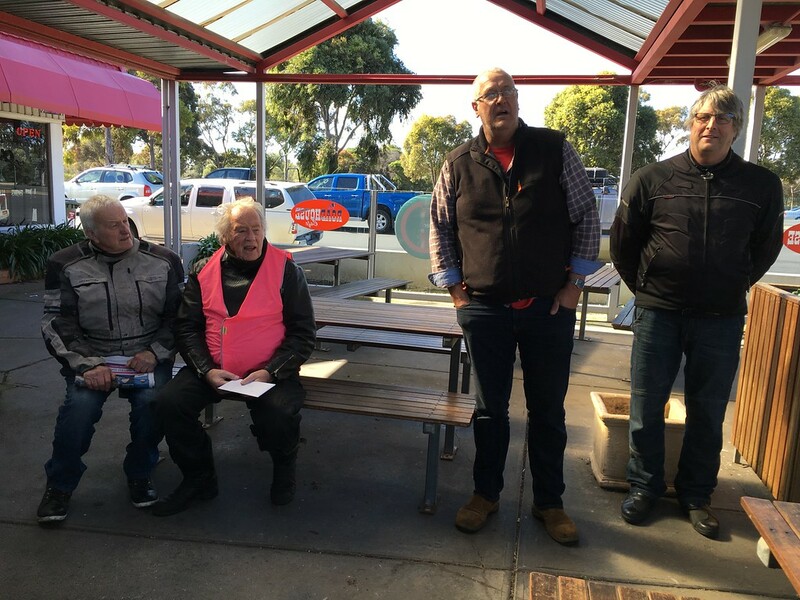 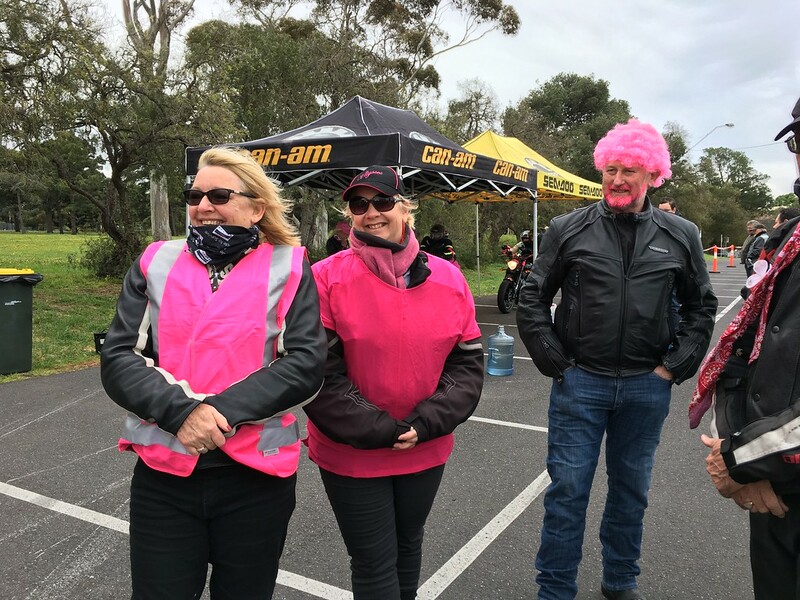 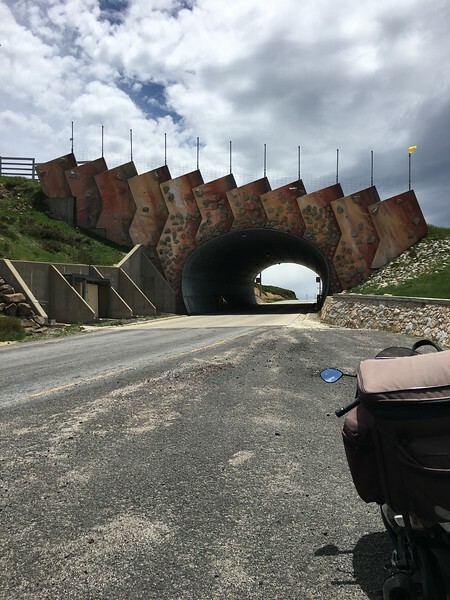 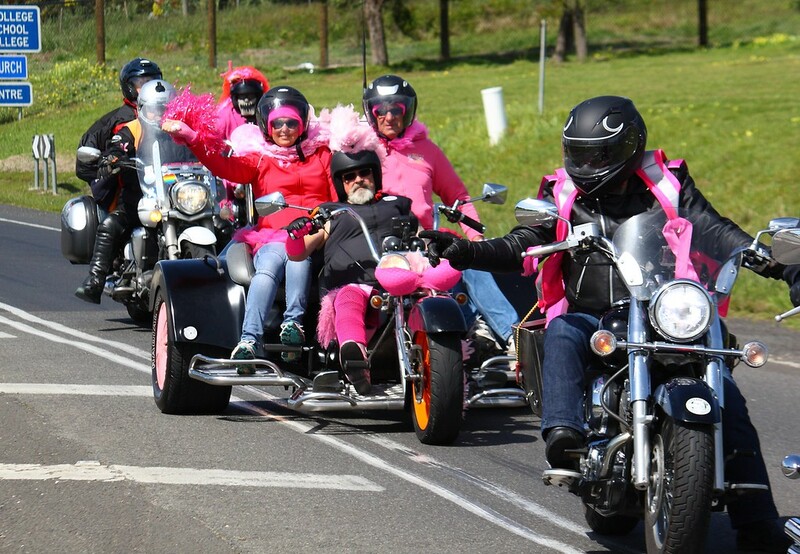 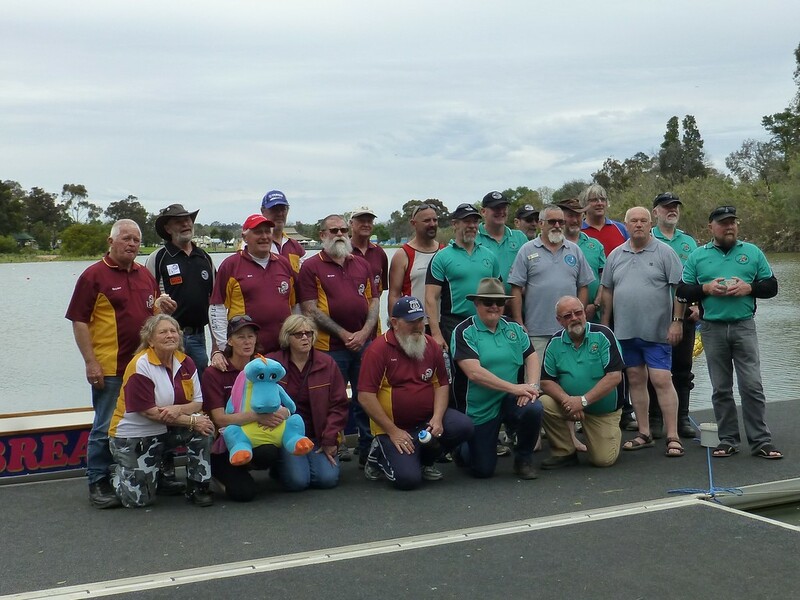 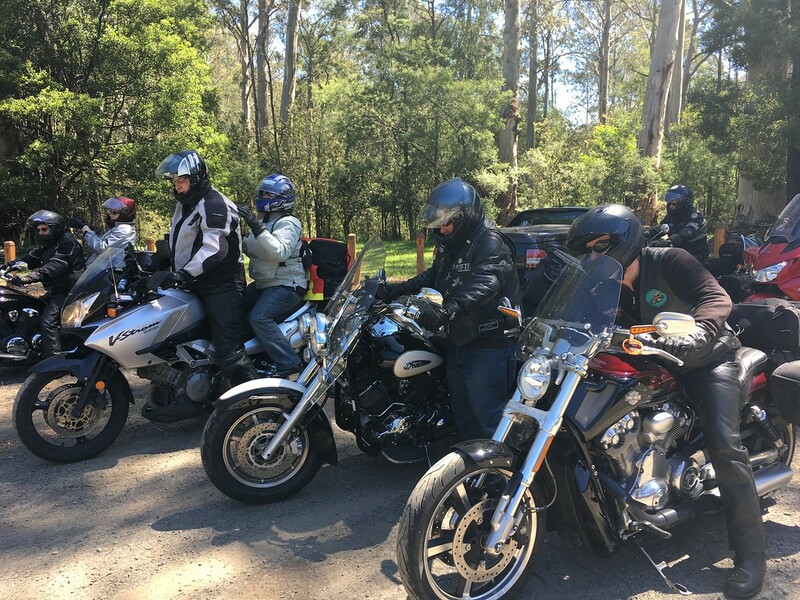 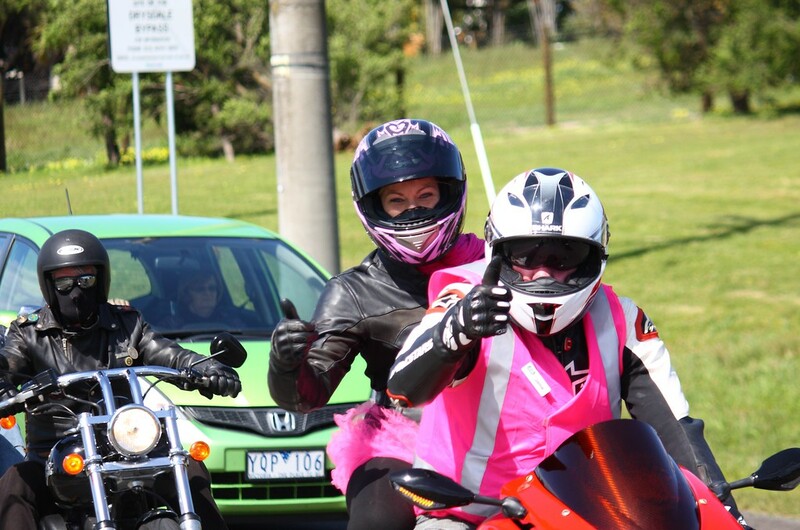 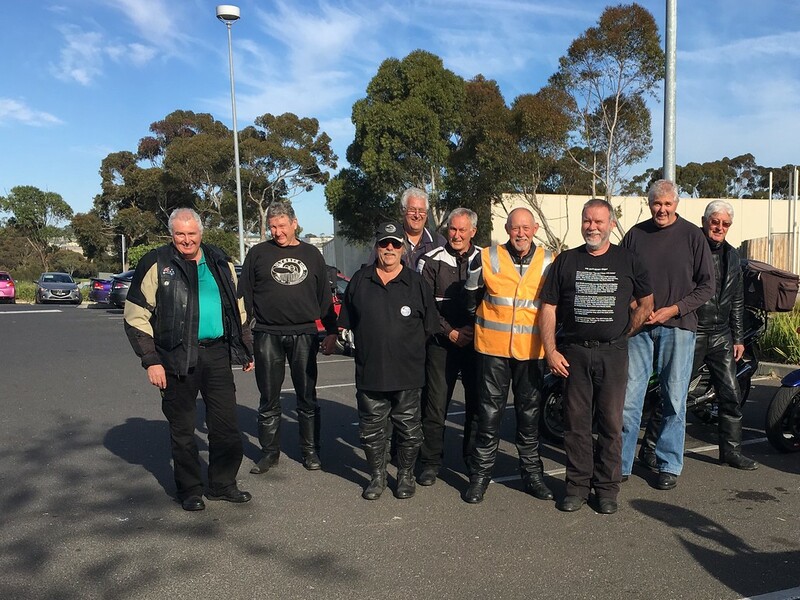 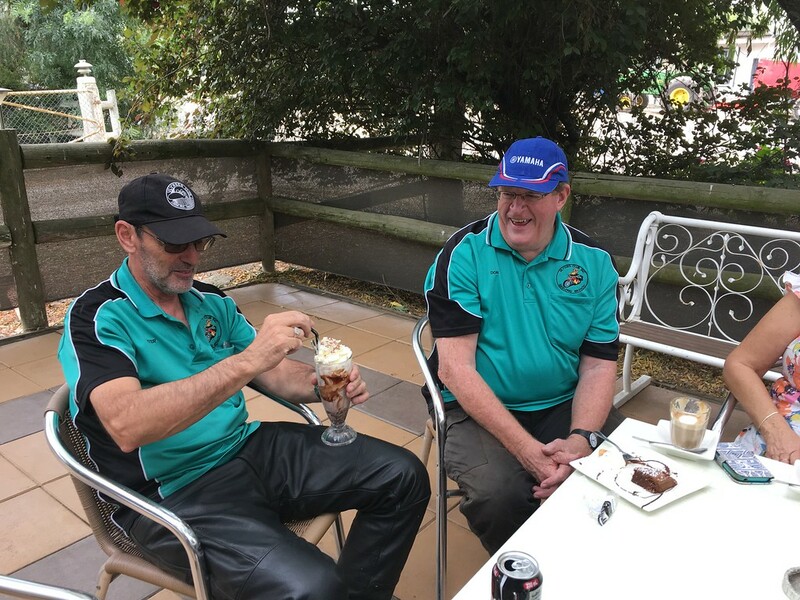 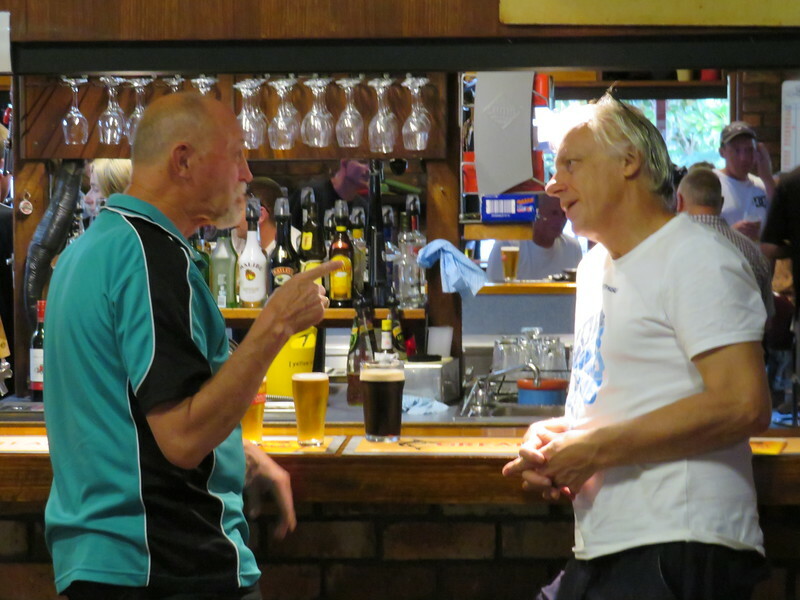 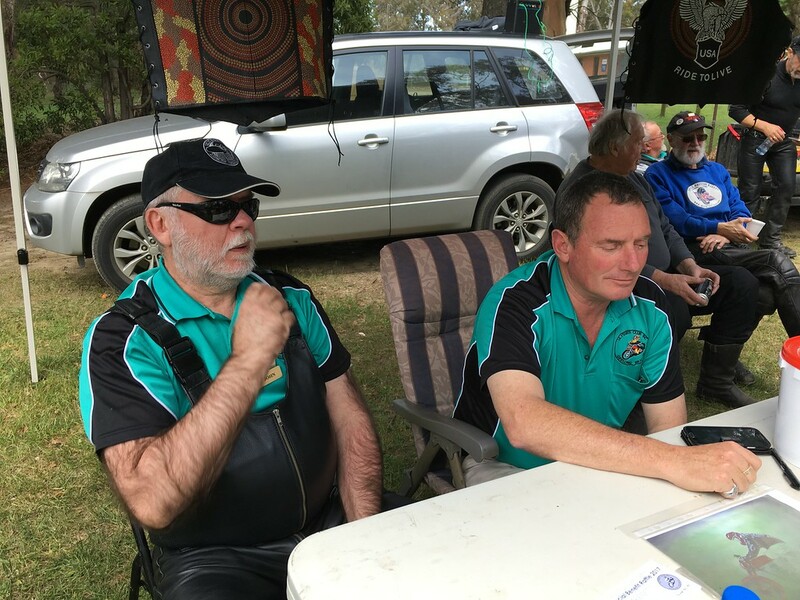 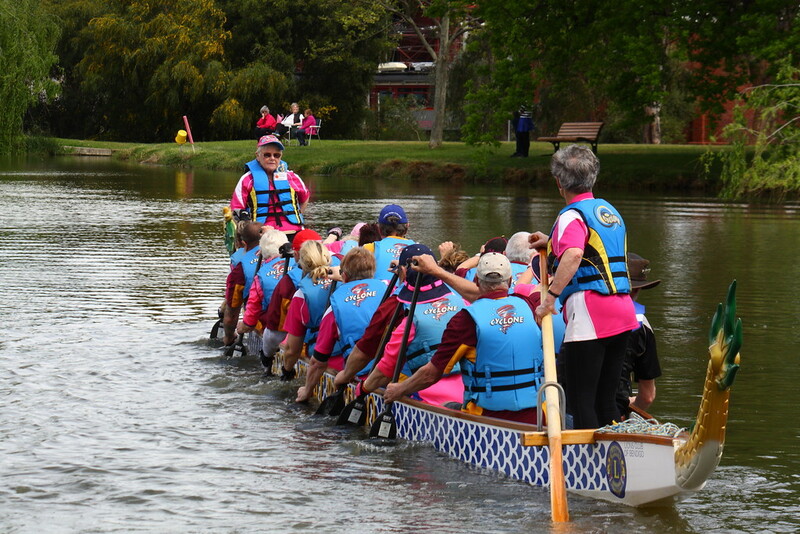 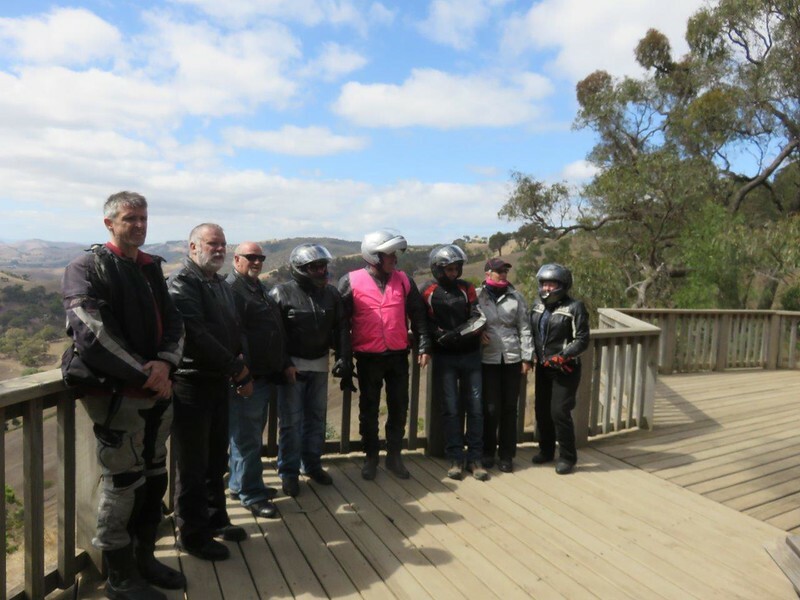 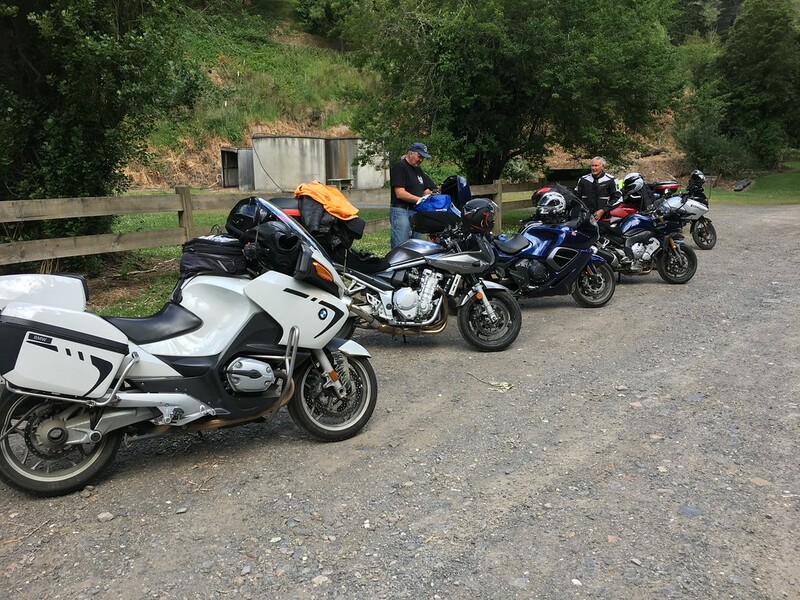 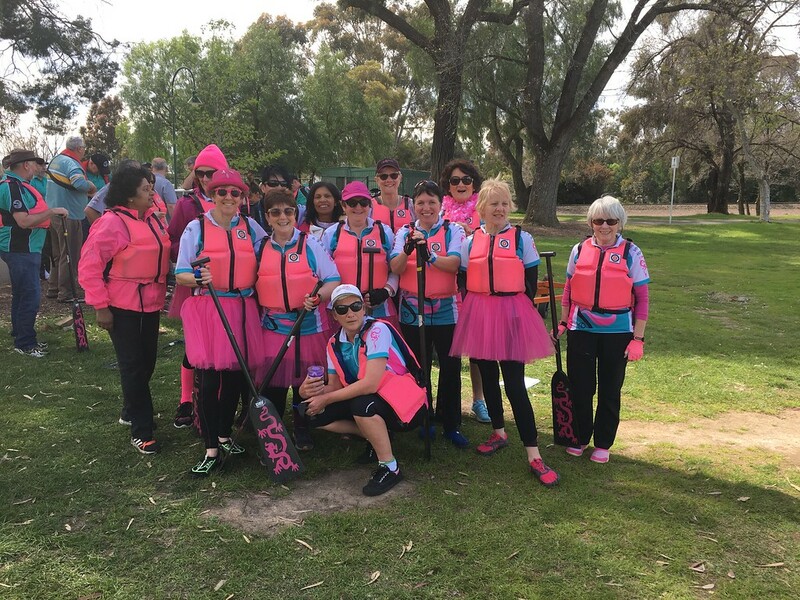 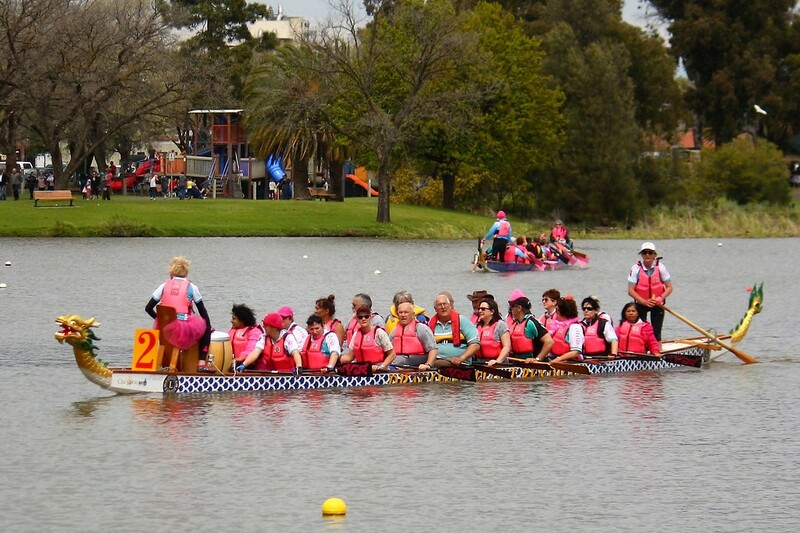 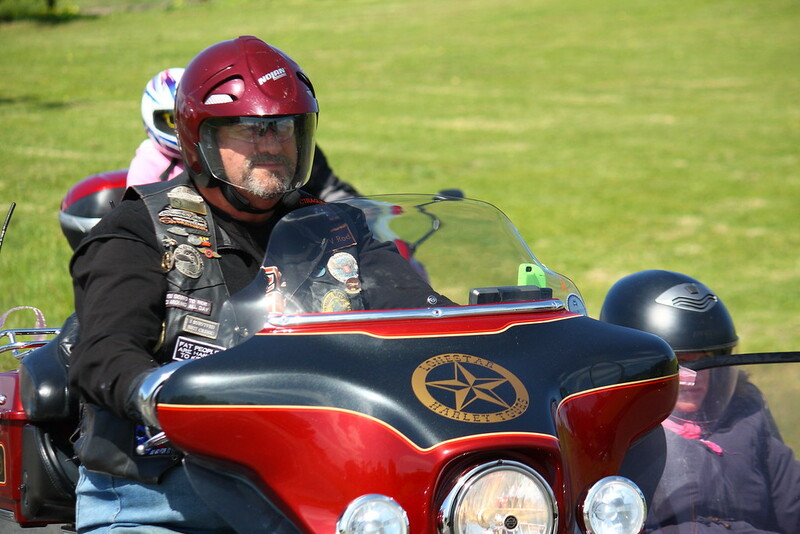 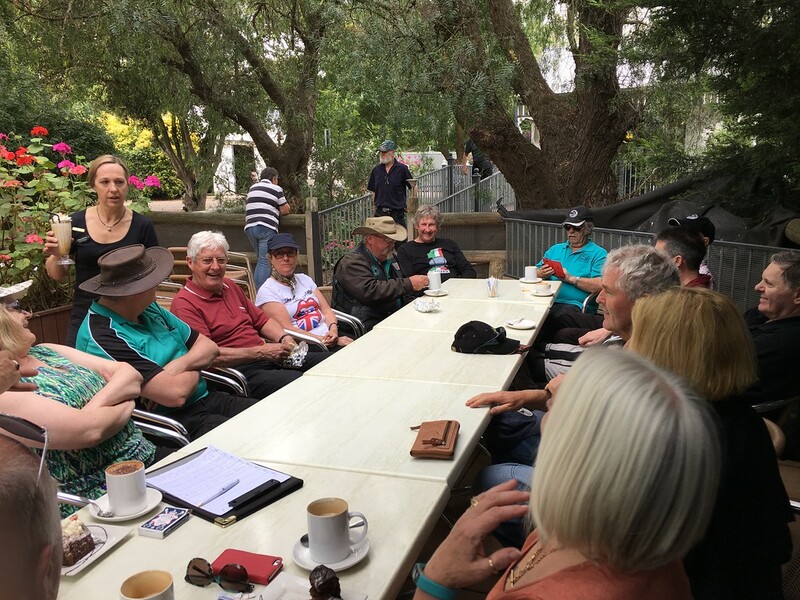 There was plenty of good cheer and banter prior to heading off to Centennial Park, via Bacchus Marsh and Gisborne led by Jim and Henny, guest riding Mal’s big Beemer. 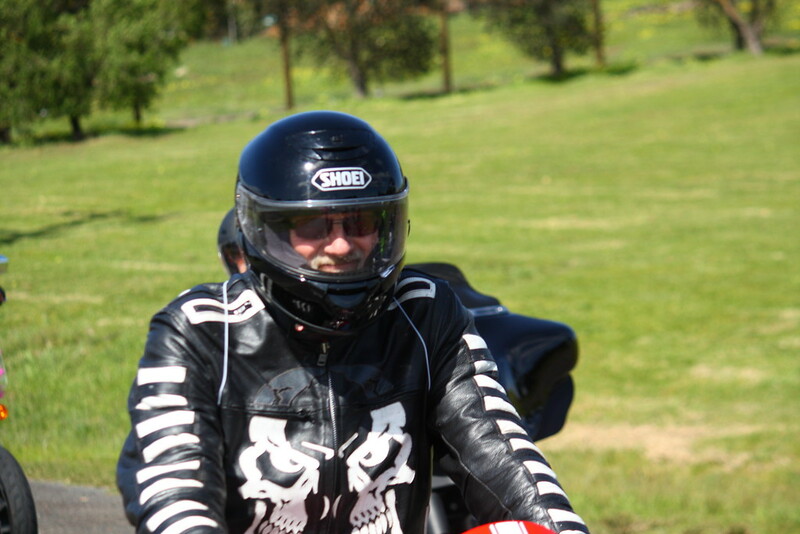 And it was great to see Mal back on a motorcycle for his first decent ride since his surgery. 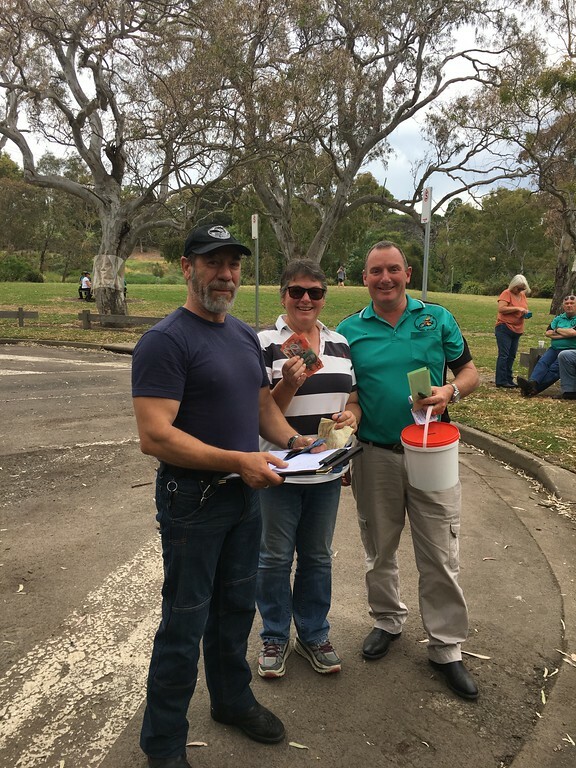 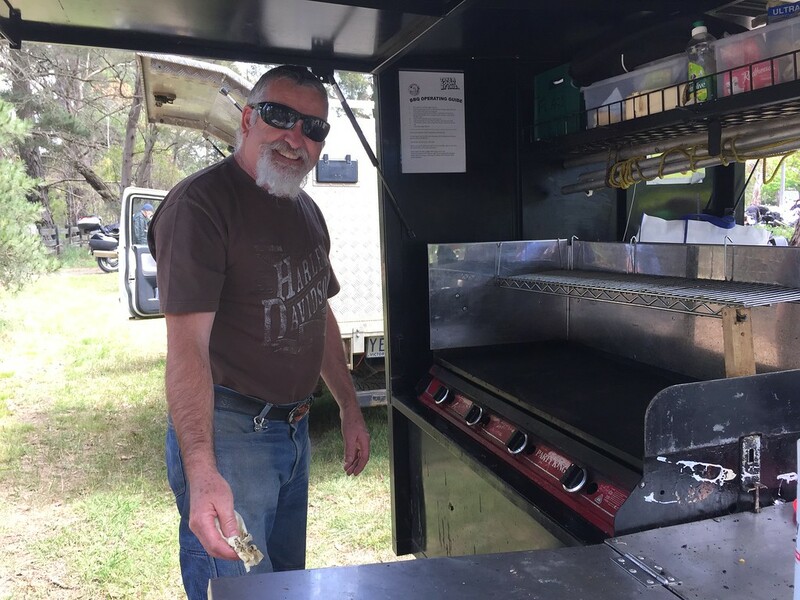 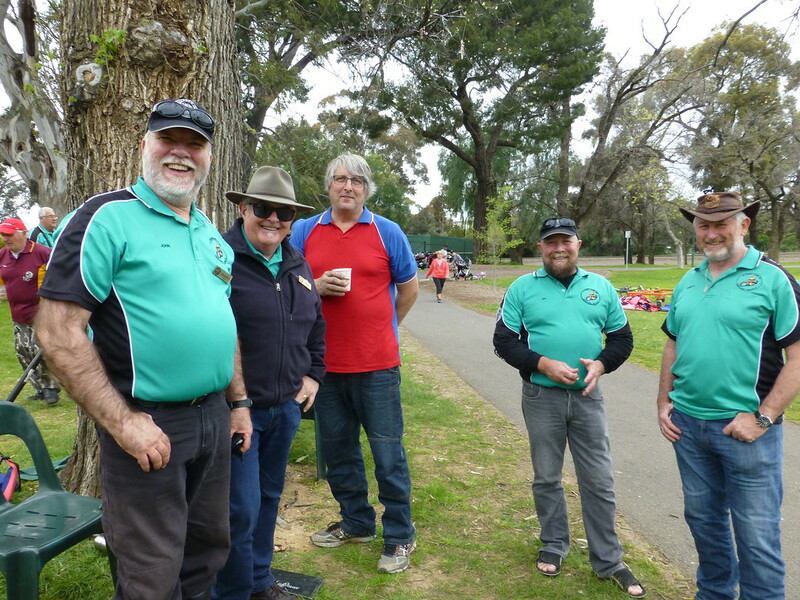 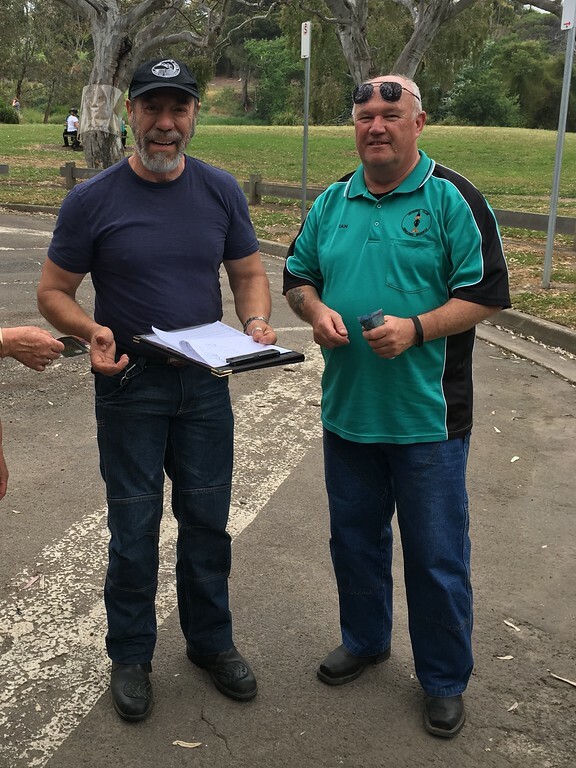 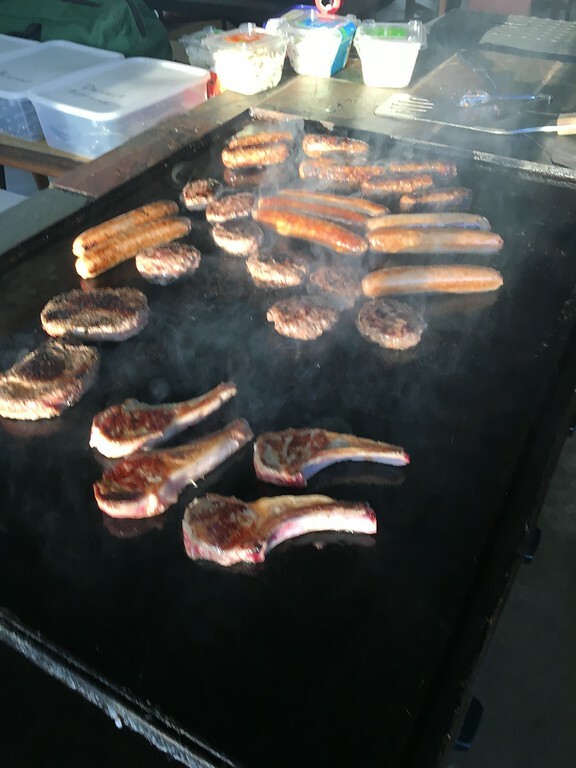 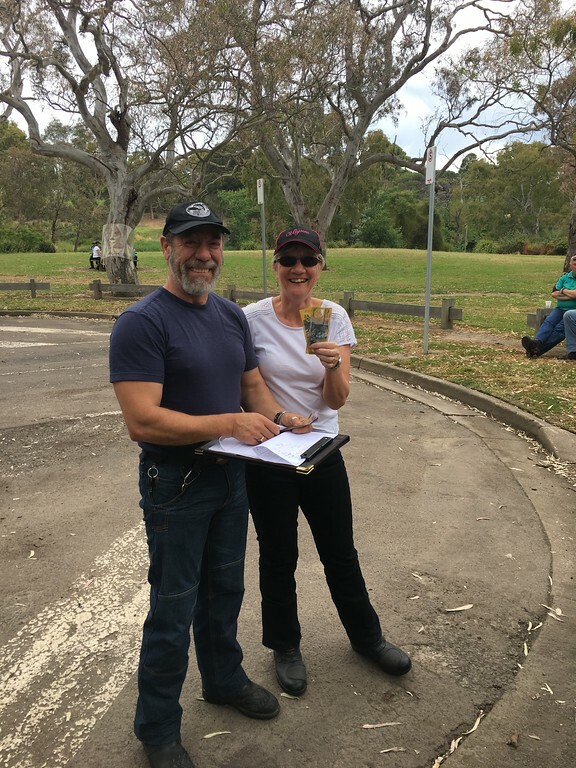 Phil, Lindsay and Gentle drove their cars and towed trailers to take the Geelong Branch chuck wagon and catering gear for the event. 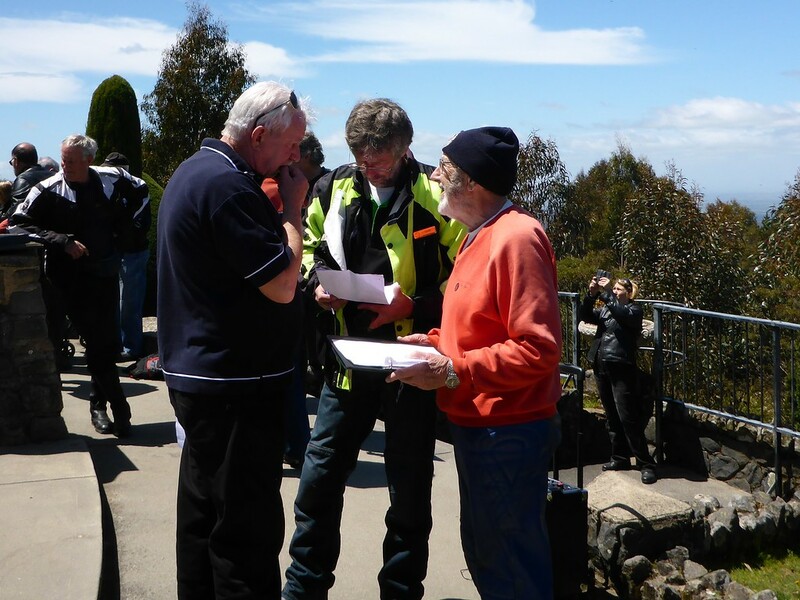 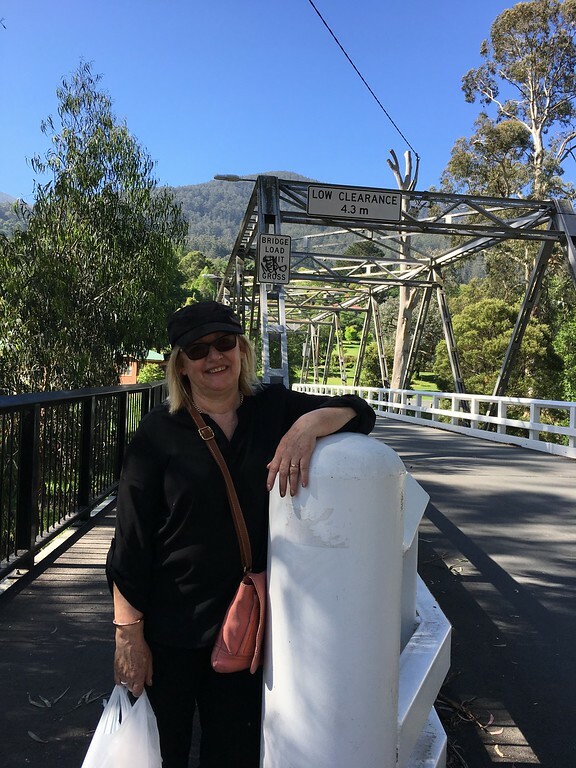 Although a bit blustery on the way up, we didn’t have any showers as forecast, and a nice sunny day greeted us at Mt Macedon. 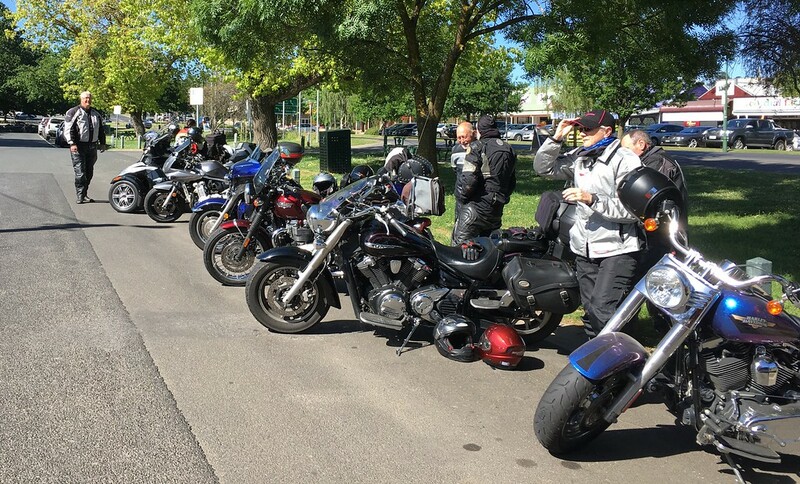 Members from the various branches began to roll in and by lunch time there was a crowd of several hundred gathered ready for the ride up to the Memorial Cross for the remembrance service for those who have ‘Ridden On’ during the past year. 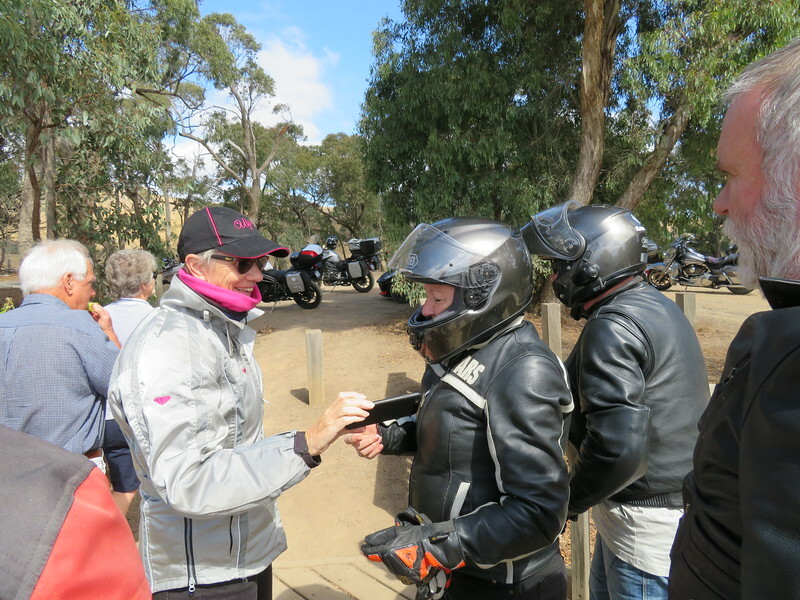 Lauri did a great job selling raffle tickets to the assembled crowd. 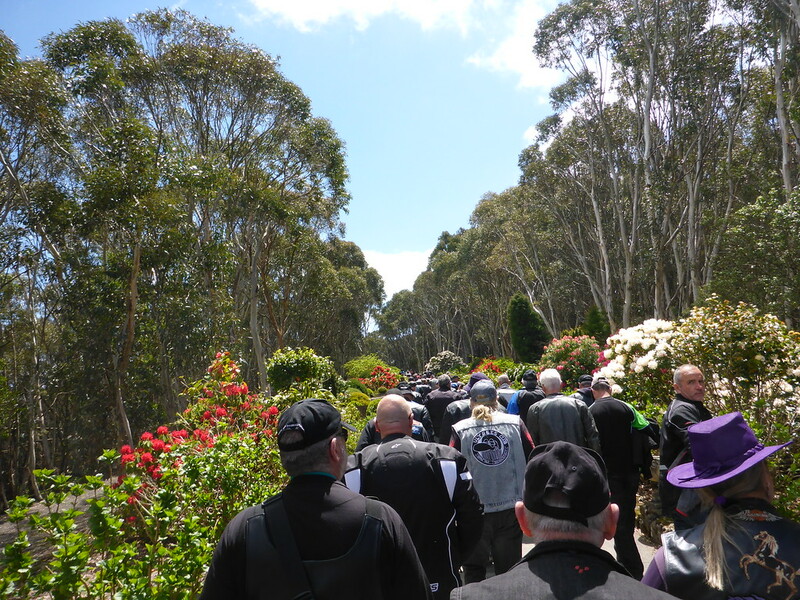 Around midday the ride leader led everyone a few kilometres up the road to the memorial cross. 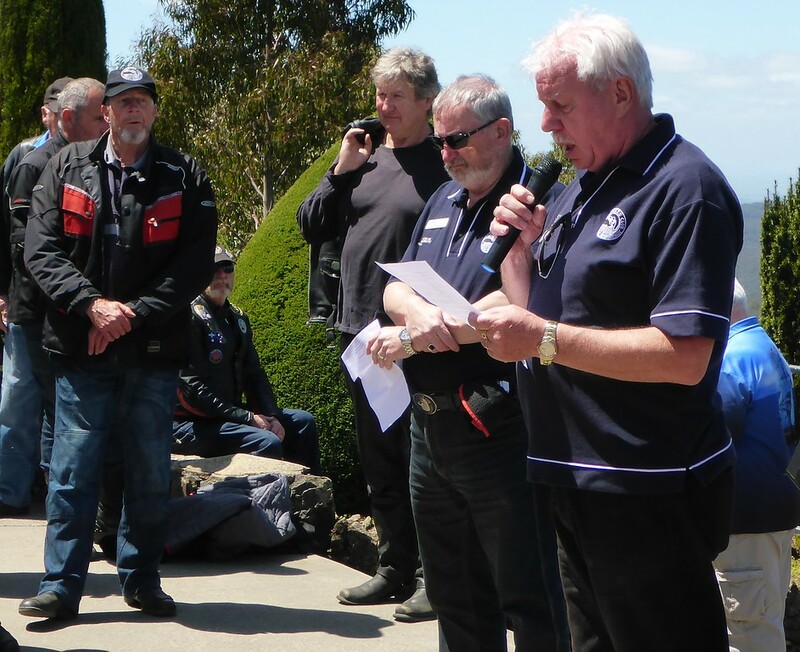 Peter Baulch from NATCOM read Helena Gritton’s message. 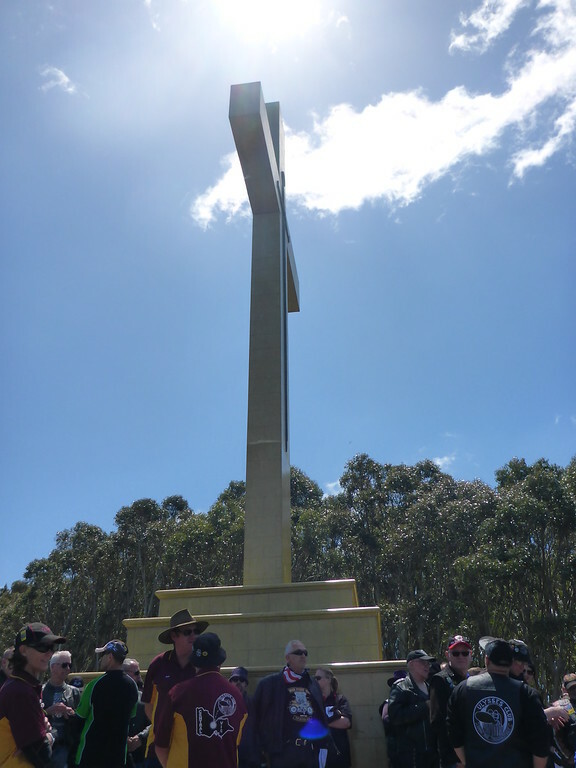 During the service the names of each member who had passed on from every state were read out. 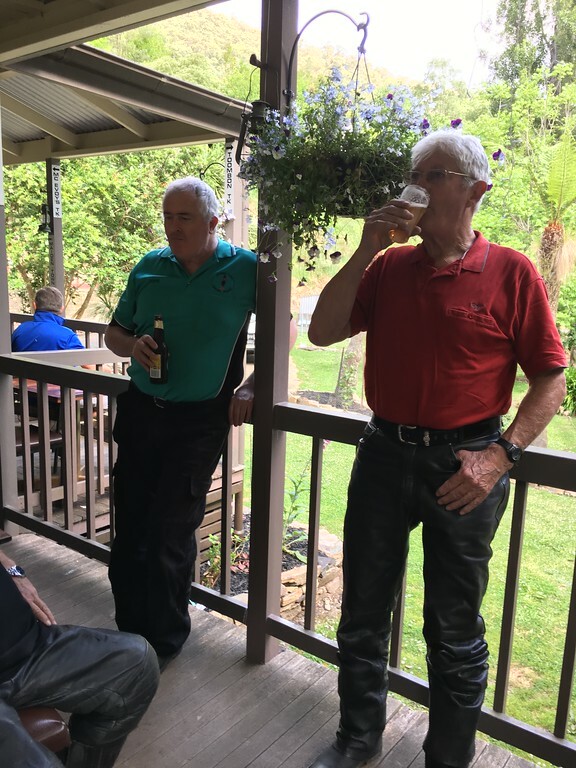 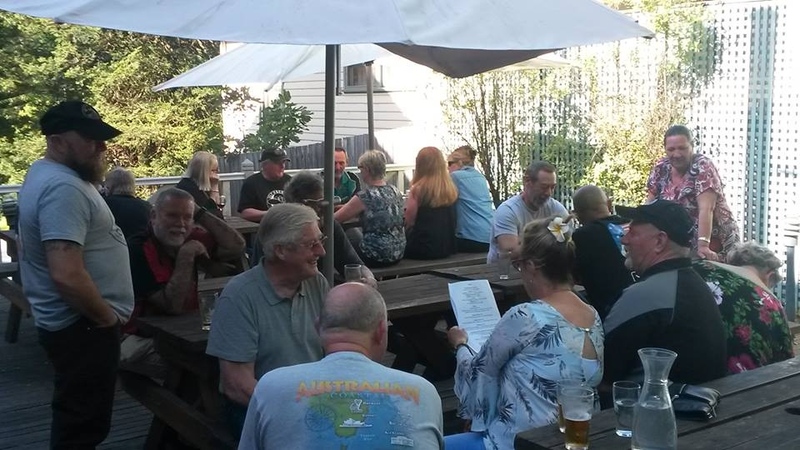 Perry Stevens recited a poignant passage from Tenyson’s ‘Ulysses’, and ‘The Rev’ Barry conducted a brief service with a prayer, a quote from scripture and a blessing – along with a joke! 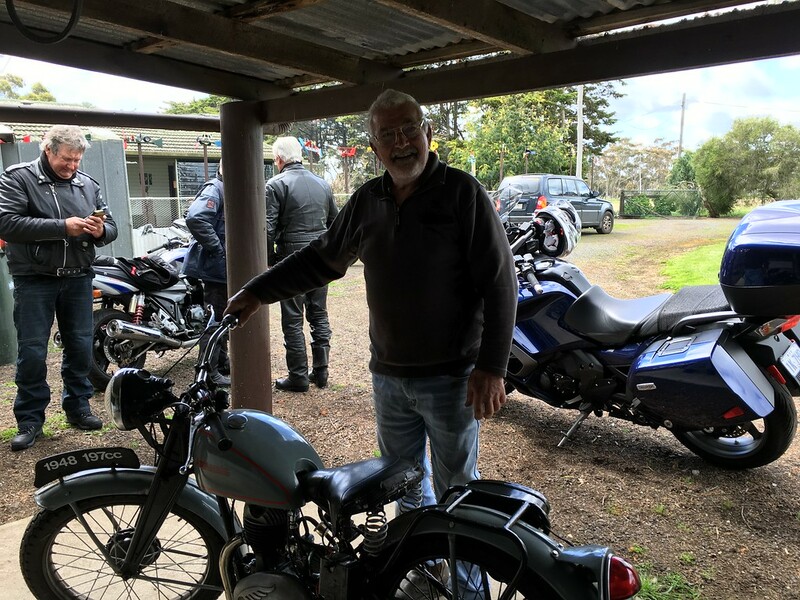 ‘The Rev’ let it be known that he is 86 yrs of age, still riding his BMW with over 450,000 kms on the clock and that his wife has ridden pillion for more than 60 years! 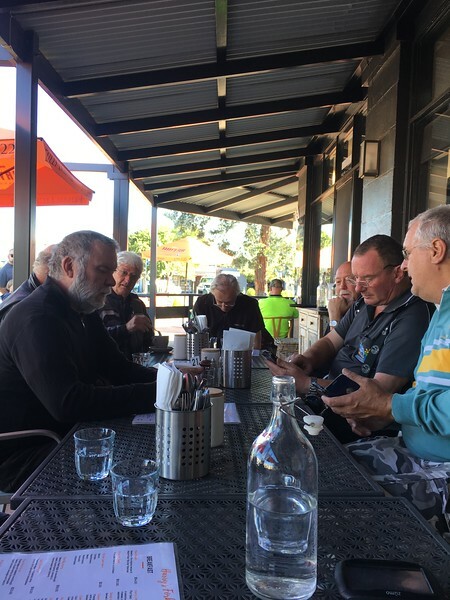 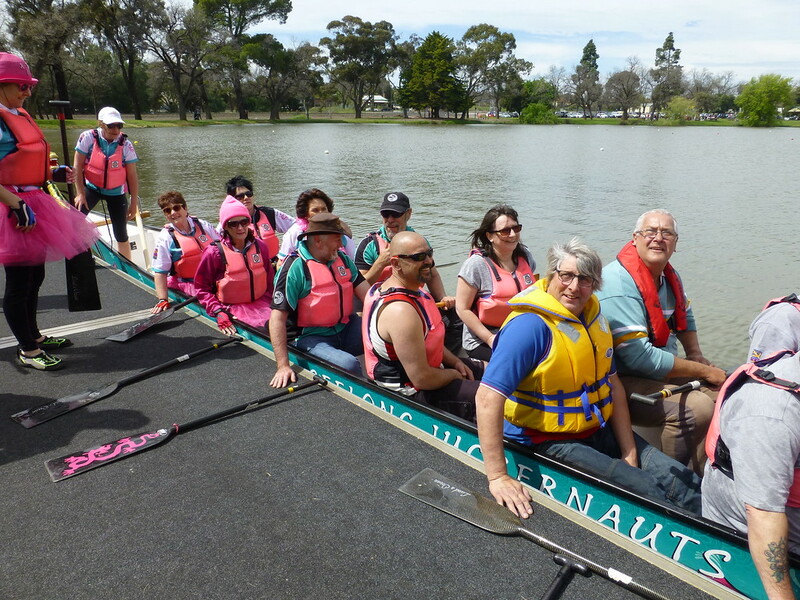 After the service most people rode back to Centennial Park to enjoy the lunch put on by the Geelong Branch and enjoy the socialising. 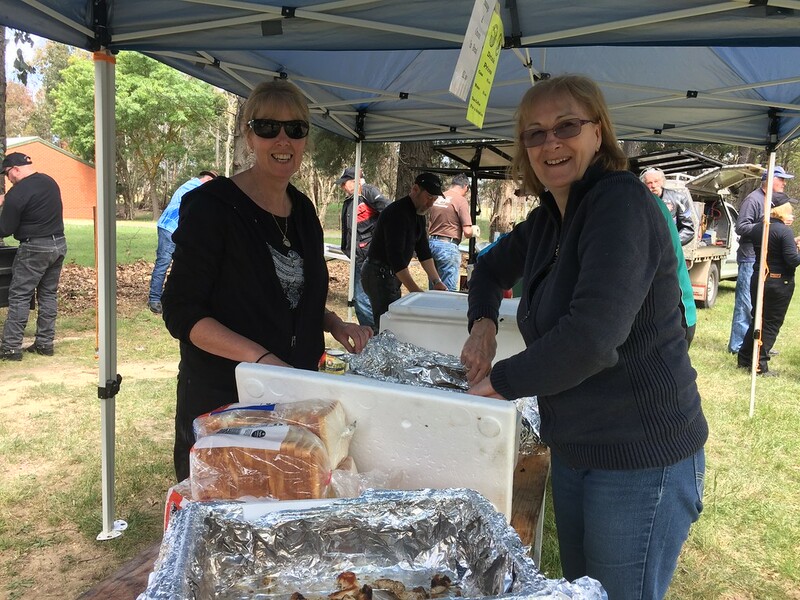 The catering crew had done a brilliant job and everything seemed to go like clockwork preparing and serving hundreds of meals. 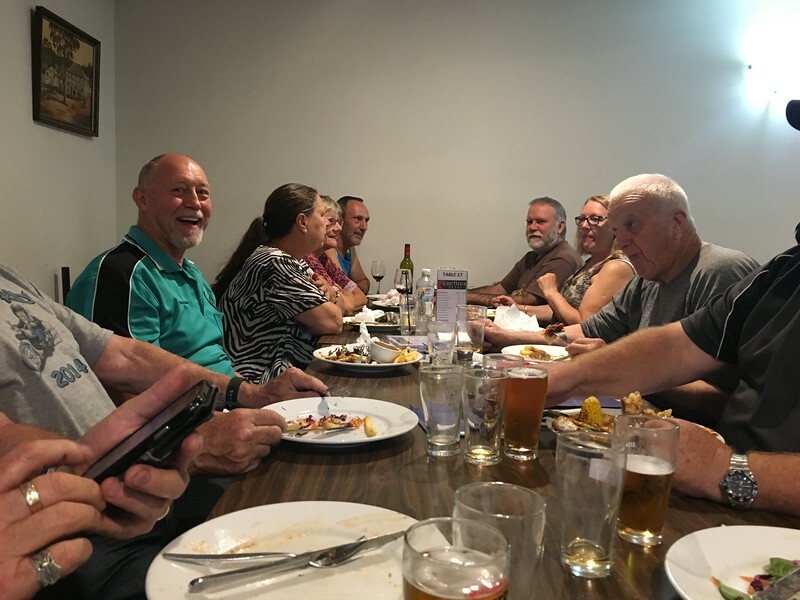 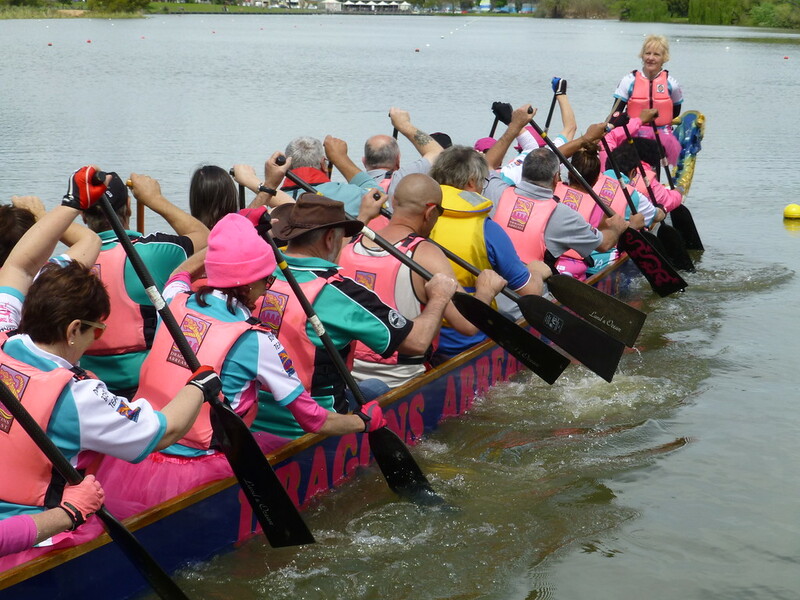 A big thanks to Gentle, Mac, Phil, Lindsay, Willie, Jim, Mal, Henny, Janice, Dorothy and Lauri for an absolutely brilliant effort. 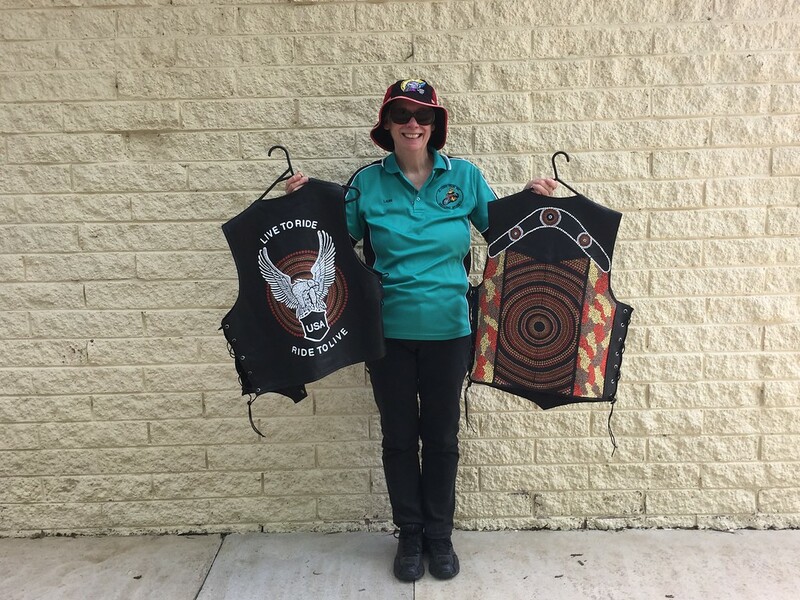 A table had been set up for selling more raffle tickets and the two painted vests and a concept drawing of Tony’s painting was on display. 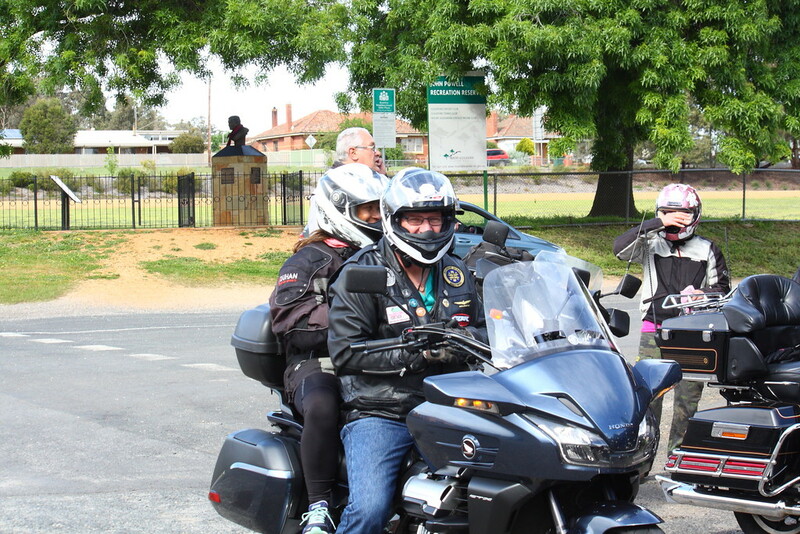 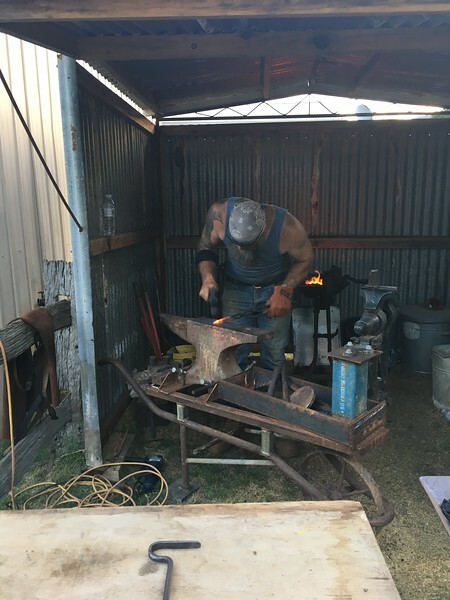 Jim led an uneventful ride back to Anakie where the ride concluded. 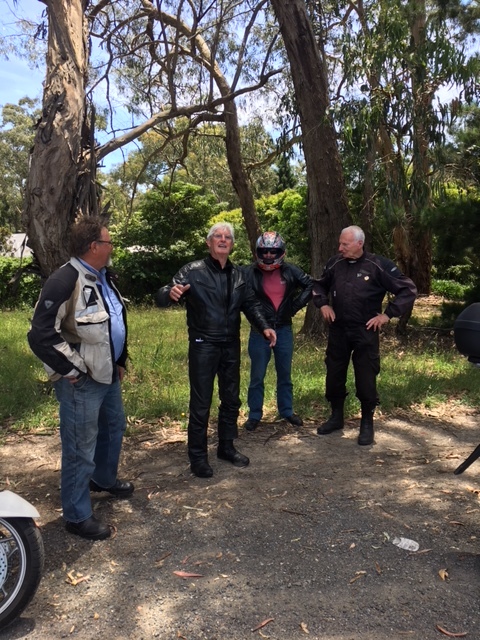 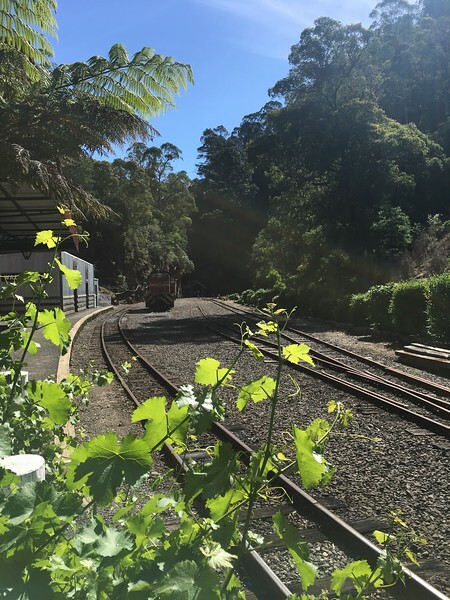 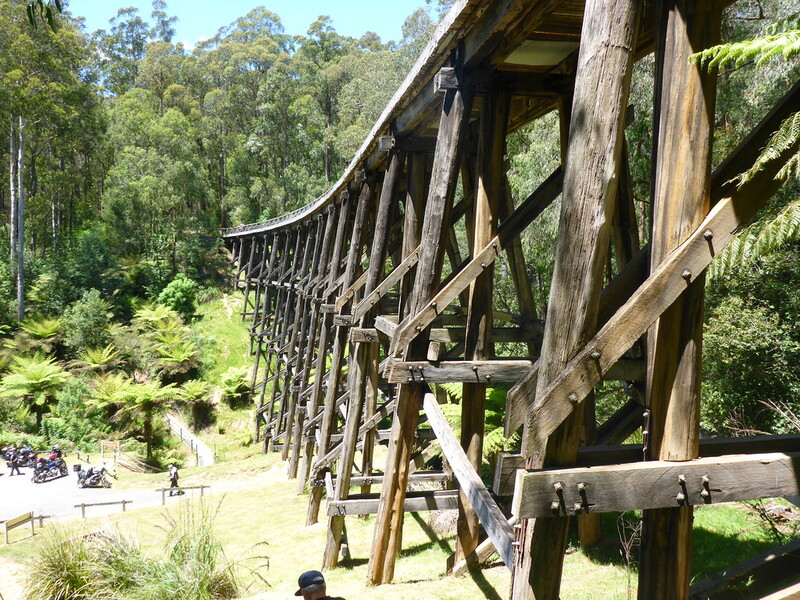 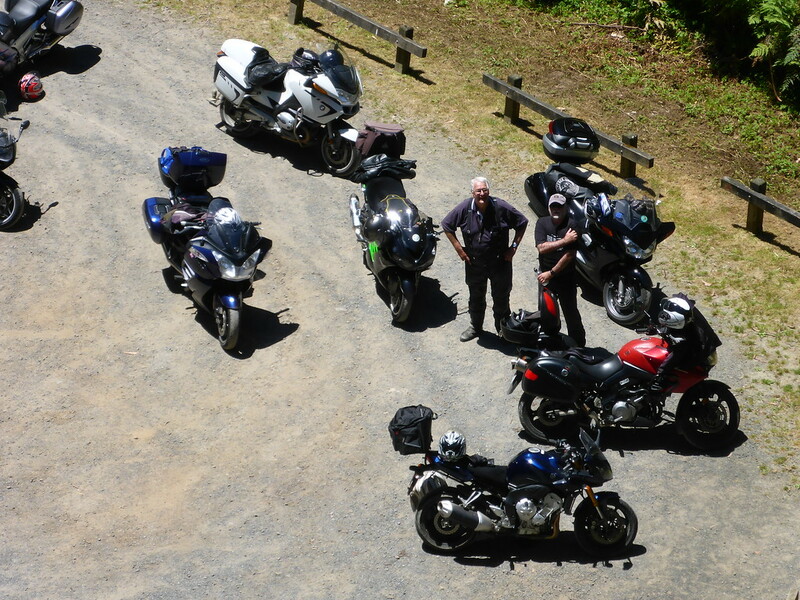 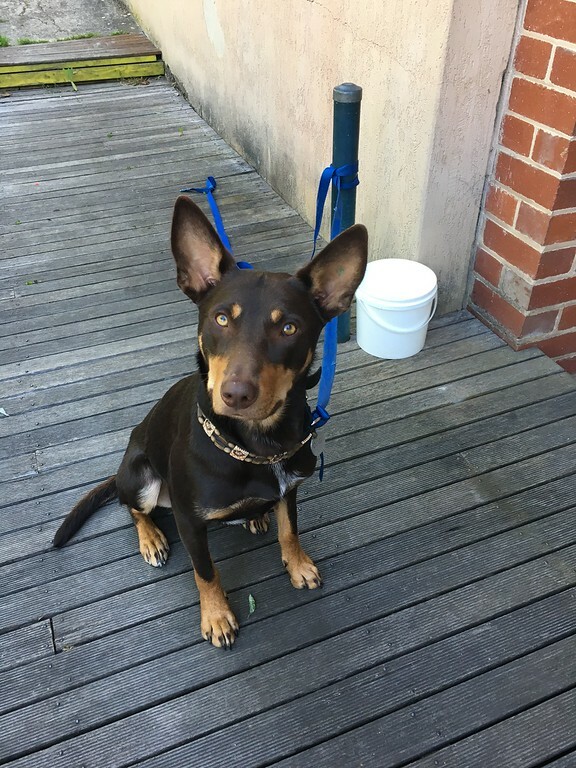 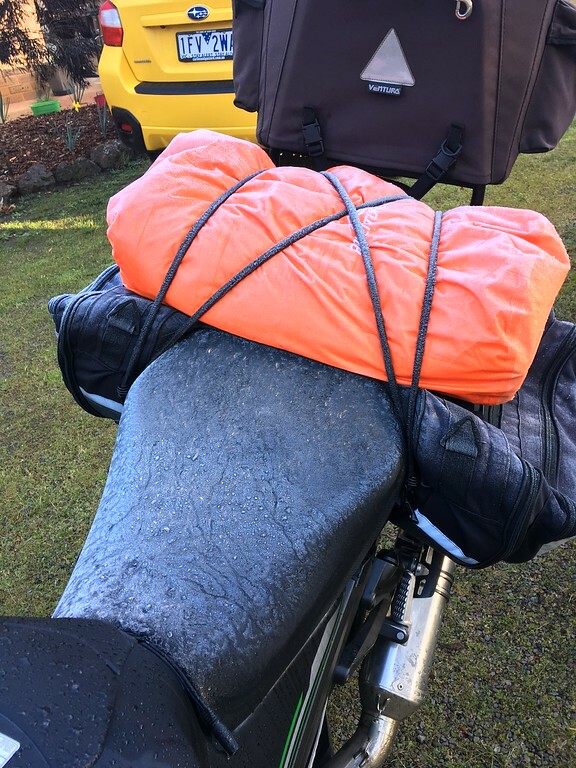 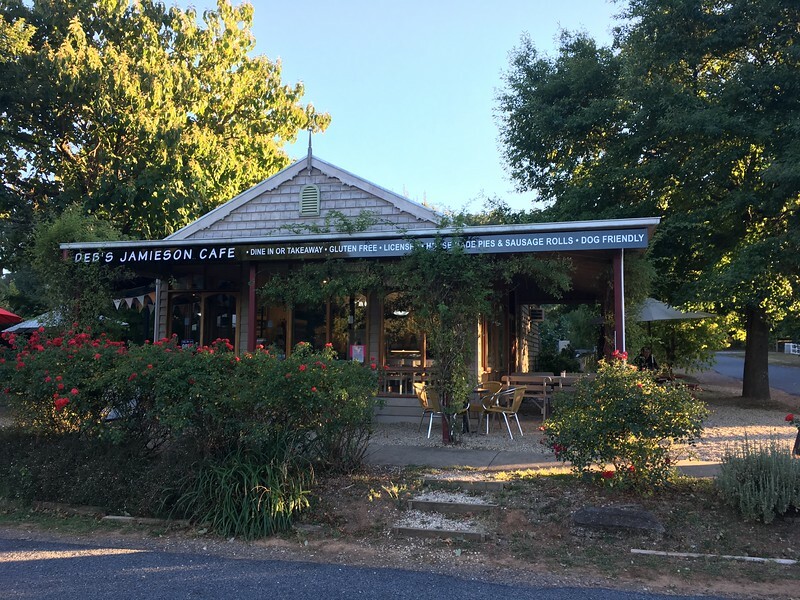 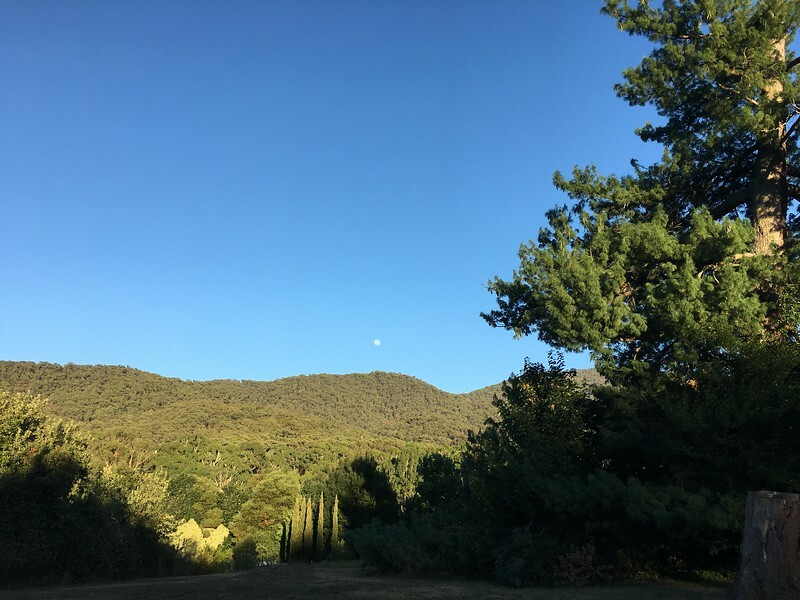 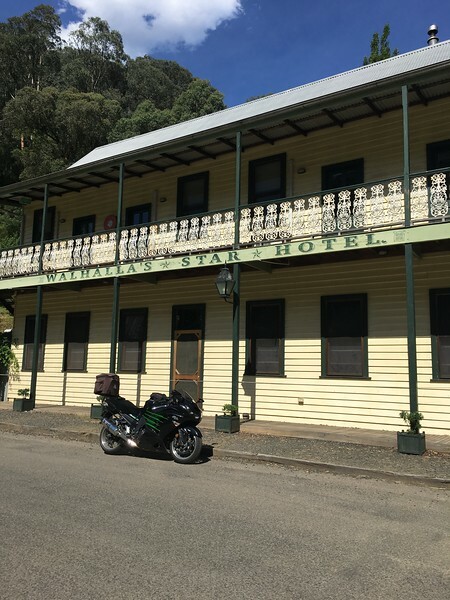 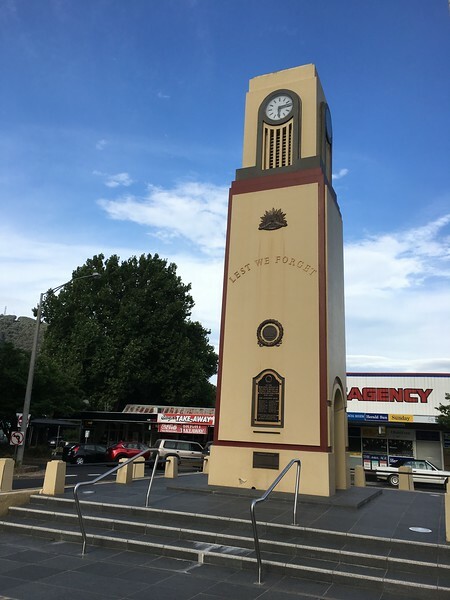 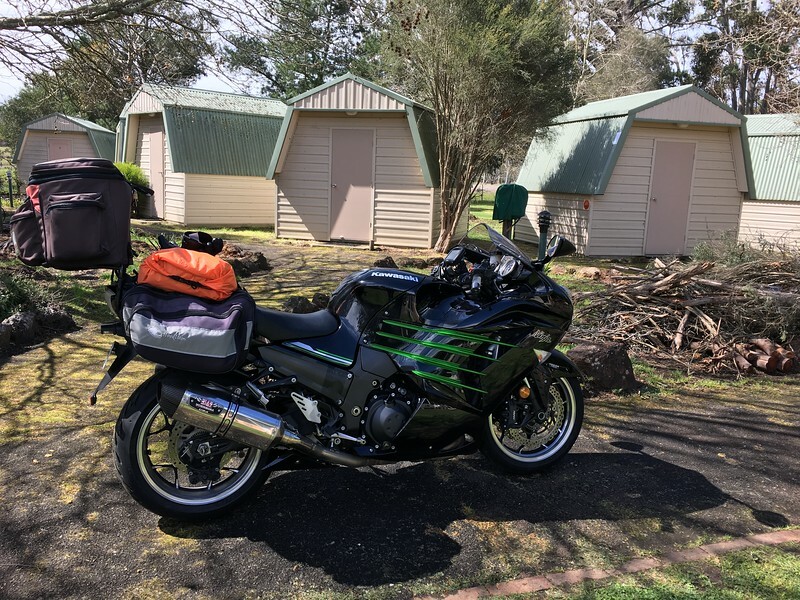 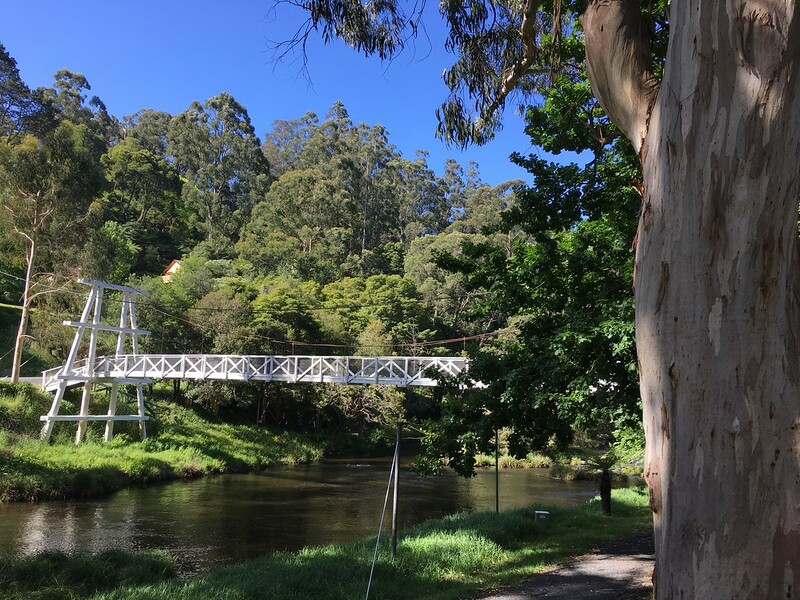 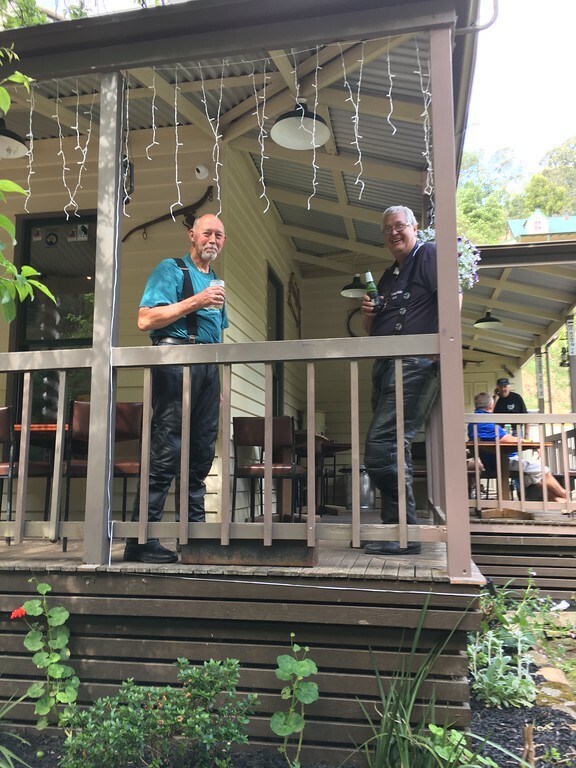 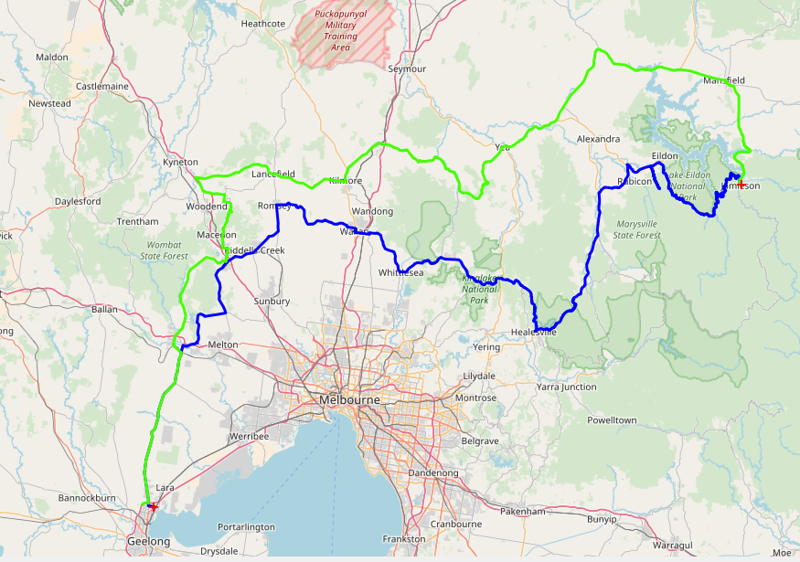 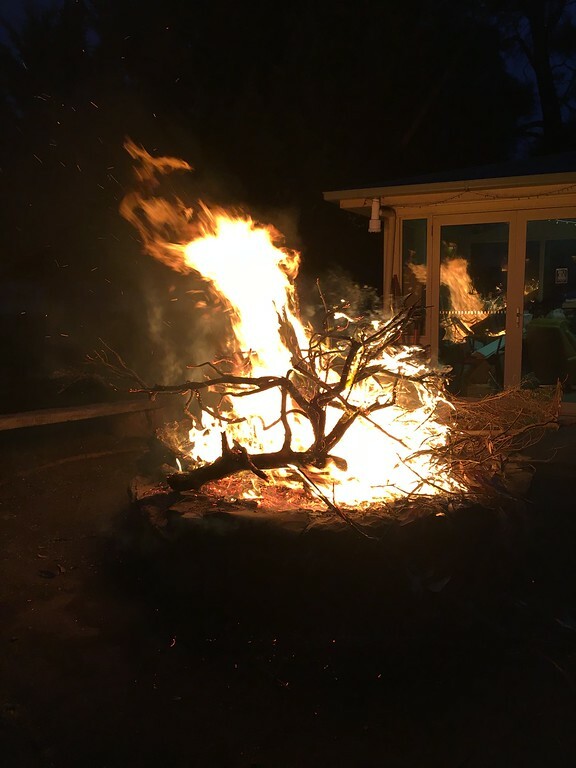 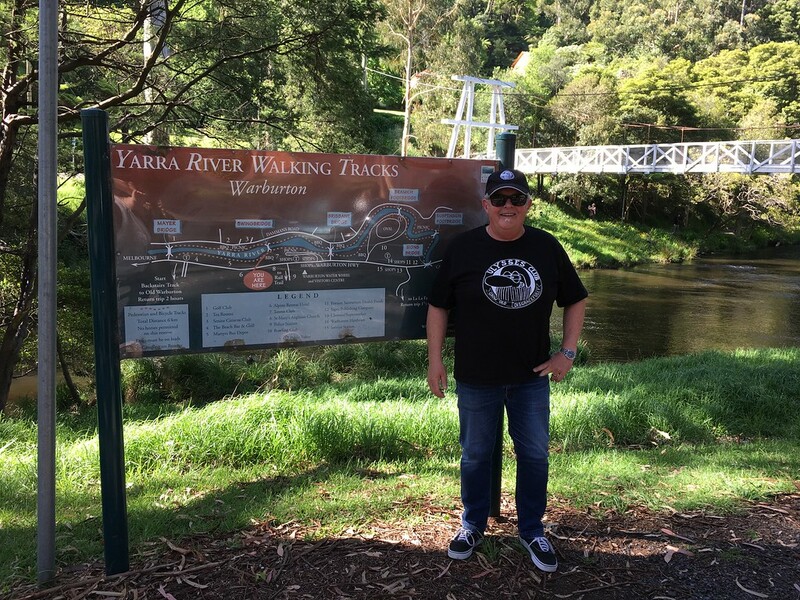 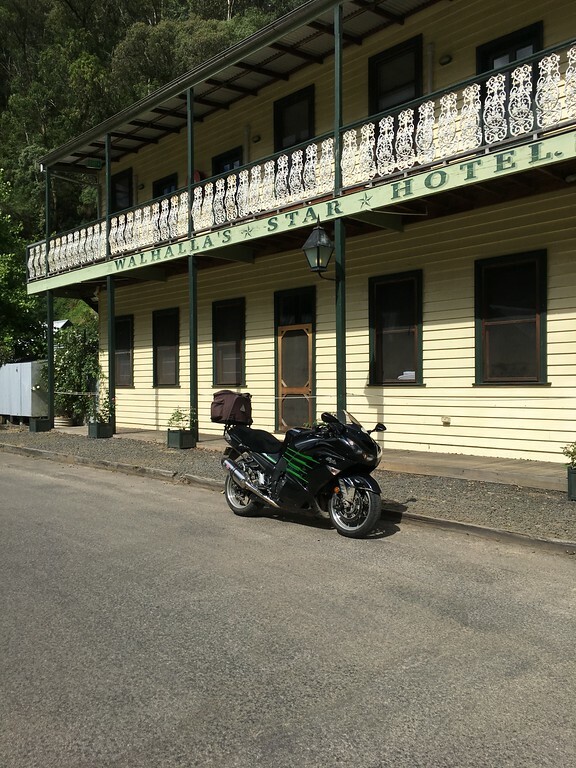 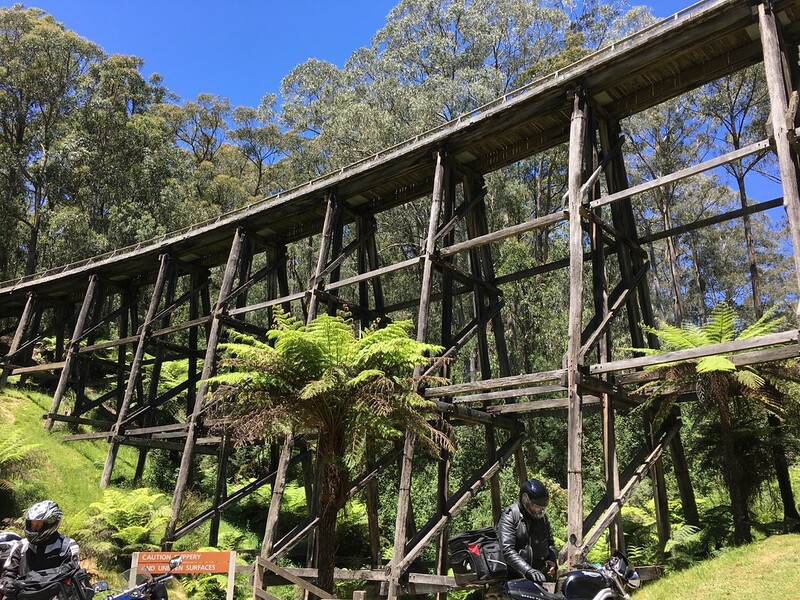 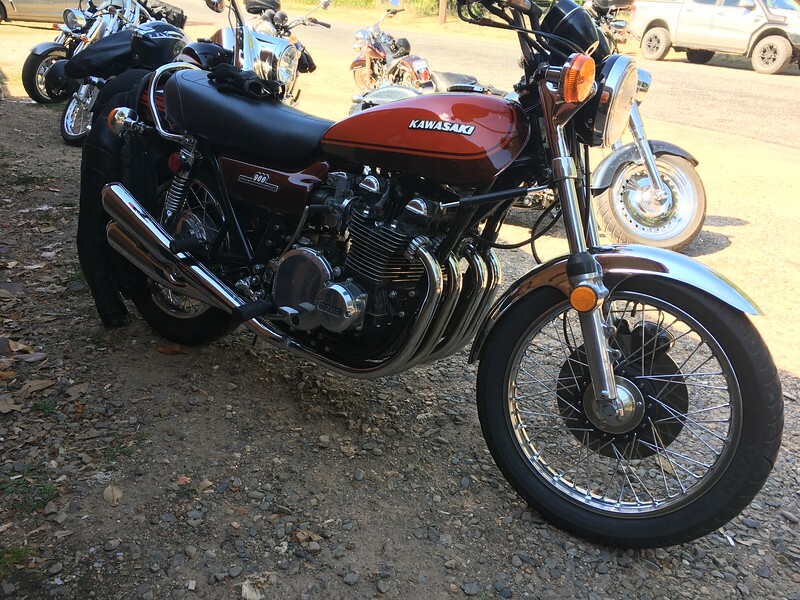 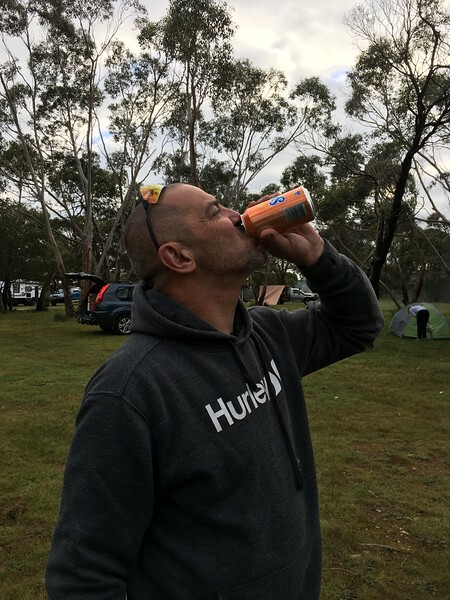 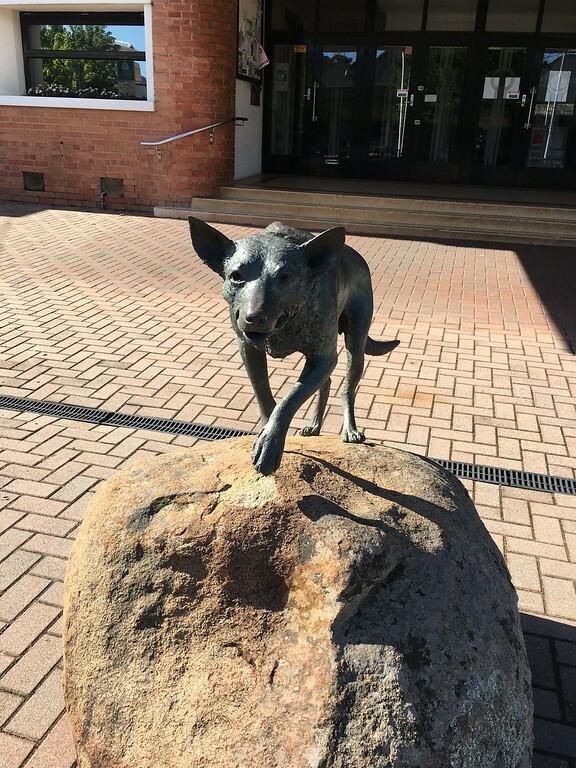 Thanks to Jim for leading, Geoff as Tail-End-Charlie on the ride home and I missed who was TEC on the way to Mt Macedon – my apologies! 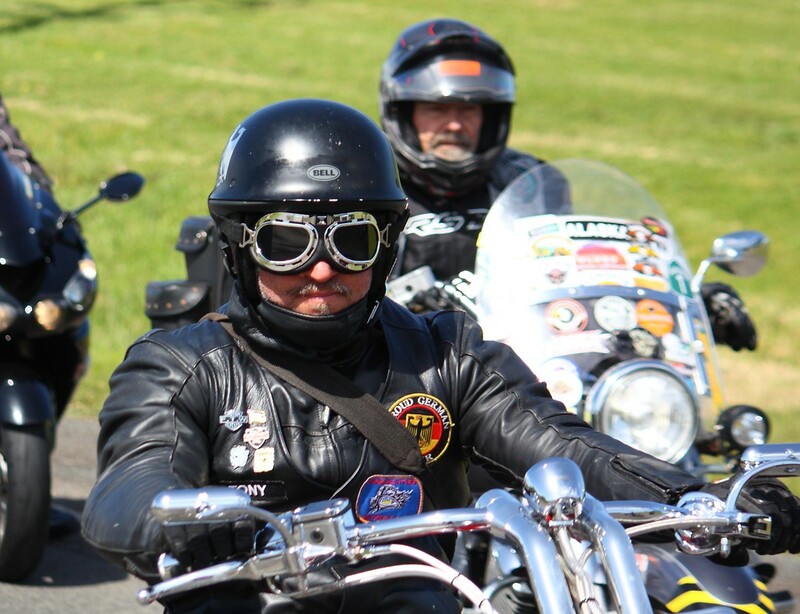 Some familiar faces in the crowd. 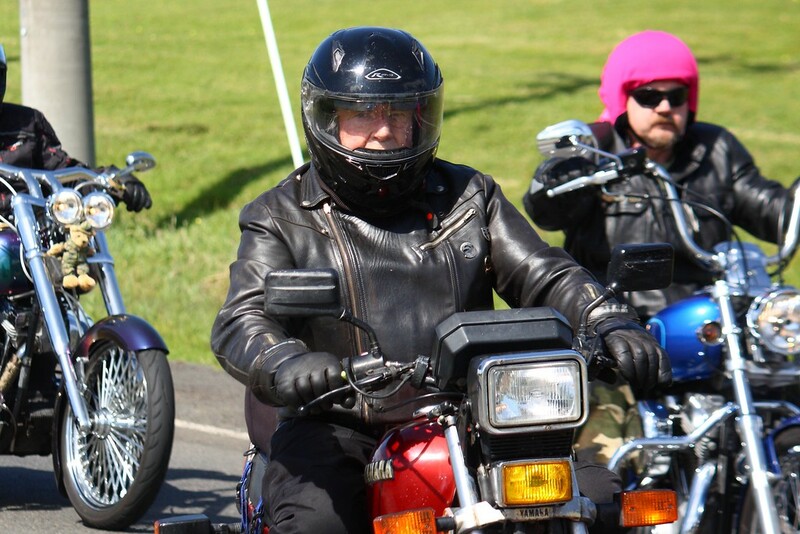 Click on pic to see in full size, then use your browser back button. 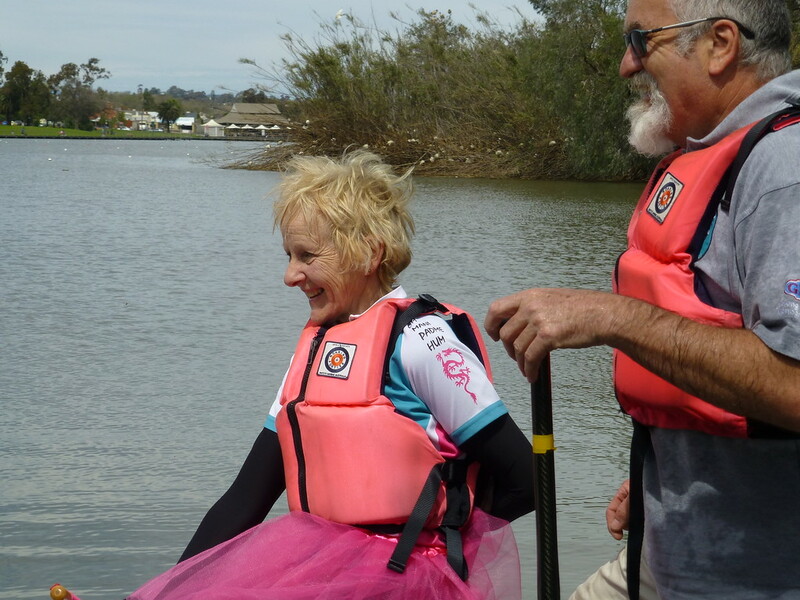 At age 84 yrs, Rob Ashmore (below) was almost certainly the oldest participant! 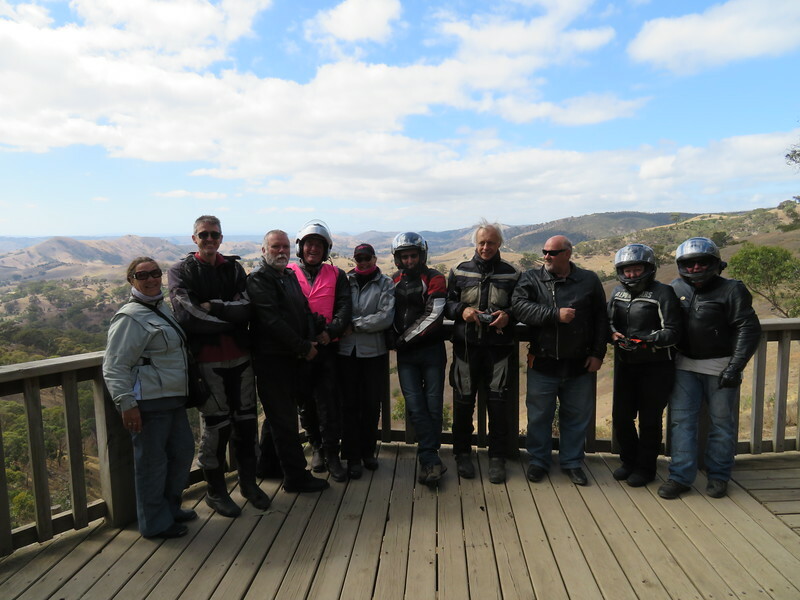 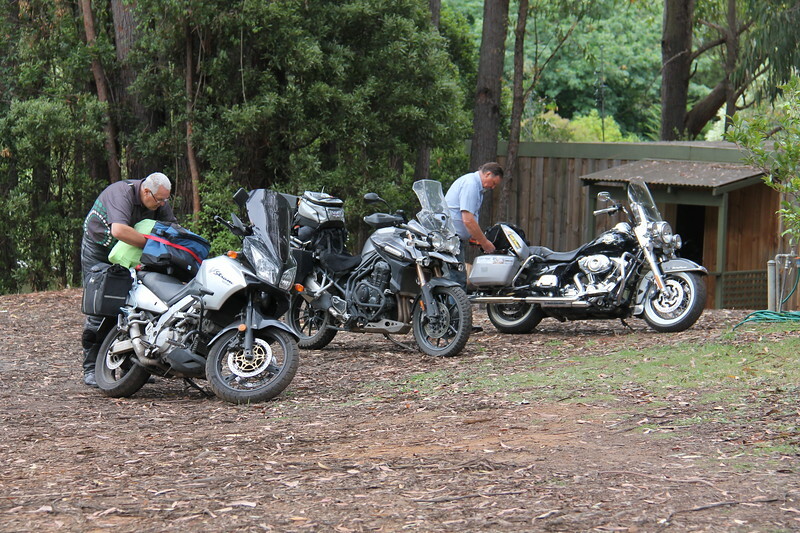 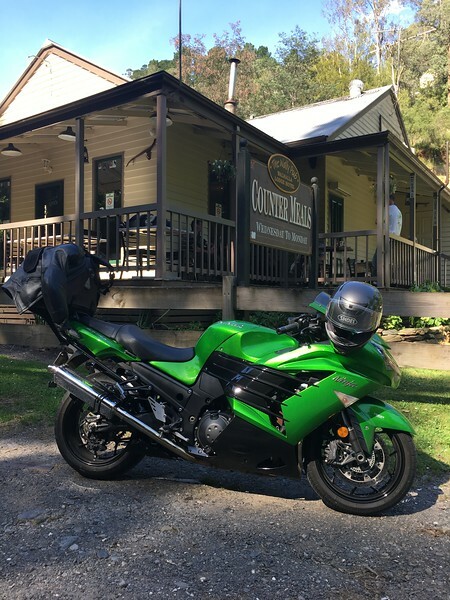 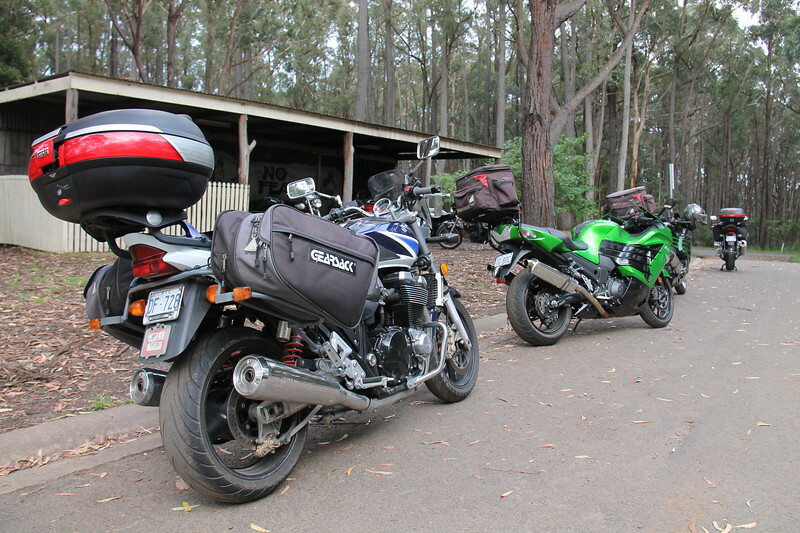 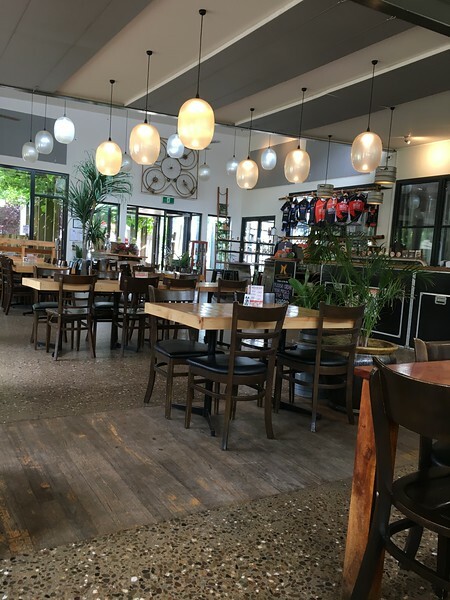 Sunday 25th Sept was the annual short ride and then lunch at Neville & Doreen’s place. 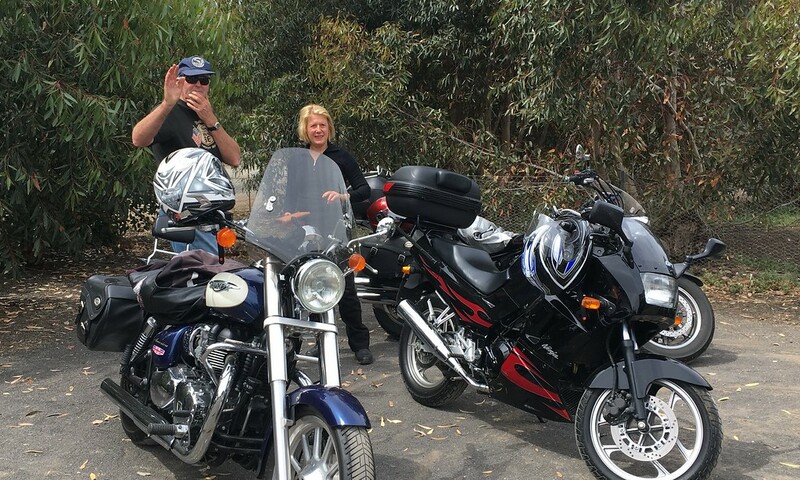 We left from the Corio Bay Roadhouse with Graham A leading and Rob A as Tail-End-Charlie. 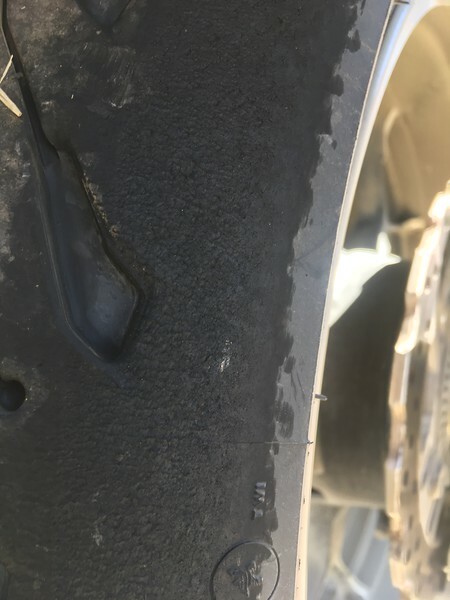 Here’s a few pics. 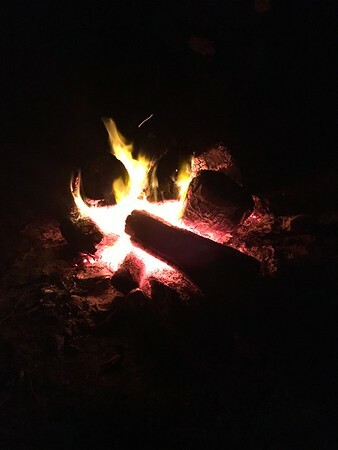 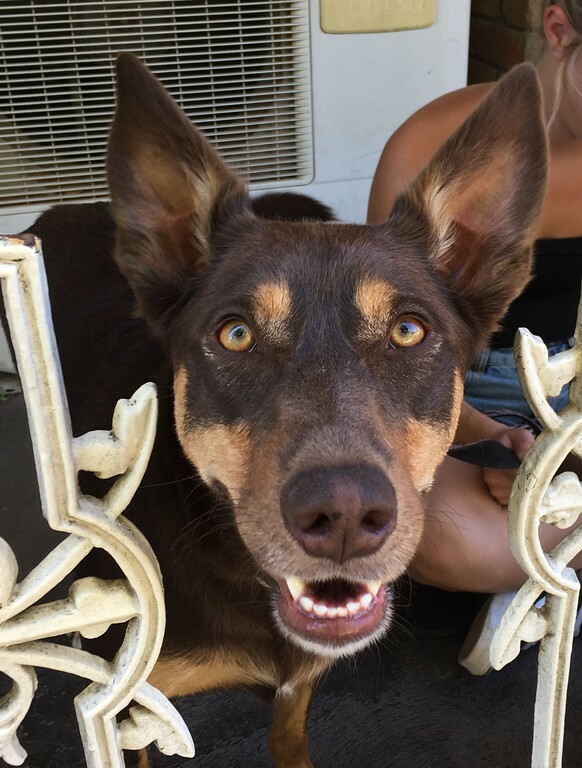 Click on a pic to see full size, then use your browser back button.